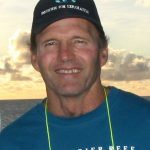 I was a volunteer almost 15 years ago for a community-led marine sanctuary in an island in the Philippines. The community was mostly subsistence fishing families and we had to gain their trust and respect, inform them about the benefits of the project and encourage them to organise themselves while navigating the local social and political dynamics of the community. I’ve also been part of a Secretariat that works with community groups and eNGOs across the globe that fight incinerators, promote ecological waste management and advocate for extended producer responsibility. As a campaigner, I’ve worked with volunteers, partner organisations, religious groups, schools and universities, high-profile individuals and political allies to advocate for a renewable energy target in the Philippines. I also organised youth groups across the globe to promote renewable and decentralised energy in their respective communities and universities. I was the Australian Conservation Foundation’s Climate Change campaigner, working on a campaign that aims to rebuild the ambition on climate action in Australia. It involved working with supporters, eNGOs and other organisations in Australia to present a robust case that resonates to decision makers and the public. Growing up in the Northern Rivers opened my eyes to the beautiful country that we live in and opened my mind to the reasons why we need to fight for it, for our people and our culture. Being quite young, the majority of my community organising experience has been throughout high school. In 2008 I started getting more actively involved in the community (mainly environmental advocacy and indigenous rights) and started to learn about what it takes to bring students, parents, farmers, teachers, workers and other allies together and ask for their support. This involved student-led campaigns and activities, anti-CSG information sessions and rallies, fundraising events, building partnerships, community working bee days (tree planting) and social gatherings. 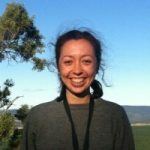 I have previously worked for the Australian Youth Climate Coalition as the Indigenous Project Coordinator. I started in this role at the beginning of 2013. This was a new role and a new project for our organisation, so it meant that the majority of 2013 was about creating a clear vision, gaining community support (from funders, Indigenous communities and individuals, external supporters and the wider community), fundraising and advocating for a stronger Indigenous voice within the climate movement. I am now the National Co-director of SEED. 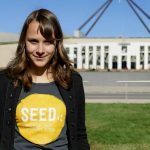 Seed is Australia’s first Indigenous youth climate network. We are building a movement of Aboriginal and Torres Strait Islander young people for climate justice with the Australian Youth Climate Coalition. Our vision is for a just and sustainable future with strong cultures and communities, powered by renewable energy. Climate change is one of the greatest threats facing humanity, but we also know it is an opportunity to create a more just and sustainable world. From 2009 to 2012 I worked on the Ballarat Renewable Energy and Zero Emissions campaign. This was about building up a campaigning group within my local sustainability group. I organised and coordinated political actions as part of a team. Primarily the campaign was a series of one-off events: local actions that were part of larger campaigns – Replace Hazelwood, 350.org, 100% Renewable and others. In 2011-12 I joined the 100% Renewable team as one of their Media and Comms Coordinators and Regional Organiser: As Regional Organiser I organised 8-10 groups around Victoria, engaging them in campaign activities and maintaining contact with them in between times. I’m currently the State Coordinator with the Victorian Wind Alliance. VicWind is a state chapter of the Australian Wind Alliance. As State Coordinator, I am responsible for the whole gamut of the organisation’s activities, including campaigning, membership, fundraising and administration. Our main campaign last year was Reclaim Waubra, where wind power supporters in the town of Waubra aimed to persuade the anti-wind farm organisation, ‘Waubra Foundation’ to drop the town’s name. The other main focus was building the organisation from scratch and recruiting members throughout Victoria, uniting farmers, wind workers and community supporters. Since January 2013 I’ve worked as an organiser with the Mackay Conservation Group on the campaign against the Dudgeon Point coal terminal. Prior to this, I helped establish a climate action group in Melbourne’s inner North, Climate Action Moreland that had a focus on community organising to replace the Hazelwood power station. From 2000 to 2005 I was active in the refugee movement, working on solidarity between people inside and people outside detention centres. I also assisted organisers working at the Australian Manufacturing Workers Union in a legal capacity. 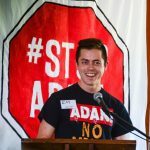 I currently work as the Queensland Lead Organiser for Getup after three years at the Mackay Conservation Group, where I had been campaigning against the expansion of coal mines and ports. Mackay Conservation Group took the Federal Environment Minister to court against the approval of the Carmichael coal mine on grounds that the Federal Environment Minister, Greg Hunt, failed to properly consider the impact of the Carmichael mine on the Great Barrier Reef. Ellen has been active on environment and social justice issues for over 20 years. 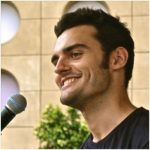 My first exposure to community organising was through my involvement with the Australian Student Environment Network from 2004 to 2008 where I helped organise opportunities for students to become and stay involved in the environment movement, campaign on and off campus and inform themselves about issues. 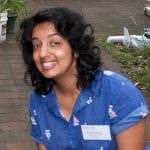 From 2008 to 2010 I was involved in the inception and growth of a coal-focused climate campaign of Friends of the Earth Brisbane (Six Degrees) where I began to learn more about alliance building, campaign strategy and community organising. In 2011 I spent a year in the USA learning mostly about struggles against coal mining in the Appalachian Mountains. There I did an internship with a community organisation fighting one particular mountaintop removal coal permit. My task was to tap into local knowledge about unofficial graveyards in the area of the permit, organise clean up events and submit documents that ensured they would be protected by state law. I also attended a training in community organising with the Midwest Academy. Since 2012 I have continued working on coal and CSG related campaigns in Queensland in roles with Mackay Conservation Group and the Lock the Gate Alliance. In these roles, I have been experimenting with community organising in regional and rural locations. 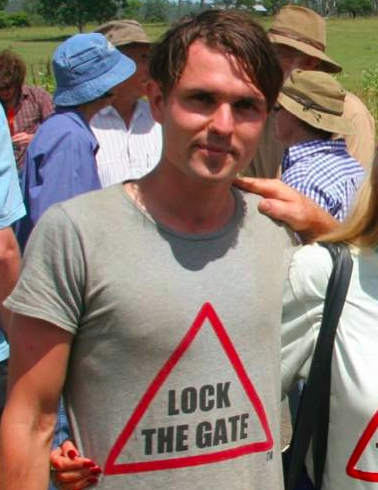 I was the Central Queensland Coordinator for the Lock the Gate Alliance. My role was to support local groups in my region and support and lead specific campaigns where appropriate. My focus is on the Galilee Basin mines and rail corridors but I also do some work in the Bowen Basin and along the coast. I am currently on the board for the Queensland Conservation Council. 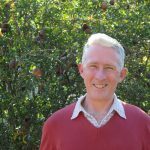 I was initiated into grassroots organising by leading a community alliance during a protracted three-year campaign to protect urban fig trees in inner city Newcastle. In 2012, I joined the campaign to prevent approval of a fourth coal terminal for the city working with an alliance of more than twenty community and environmental groups. 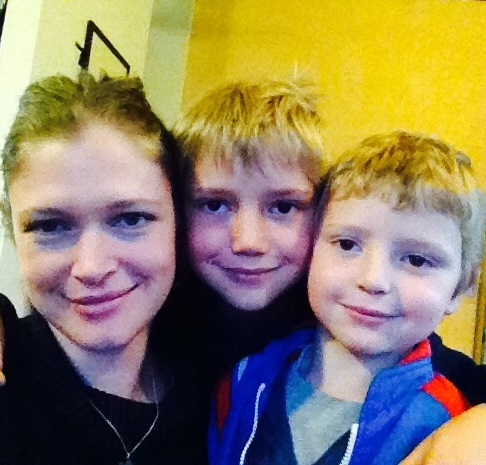 I was fortunate to participate in the 2013 Community Organising training led by the Sierra Club, which allowed me to strengthen the community networks to resist the coal and gas boom in the Hunter, safeguarding a healthy future for my three awesome children. I believe that social change requires understanding what motivates, inspires and empowers communities. I’m currently working with a grassroots climate justice group in Newcastle. We’re experimenting with a decentralised organising model to build a powerful movement to disrupt the flow of power afforded to the fossil fuel industry in the Hunter. 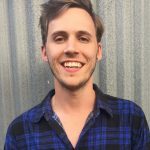 In 2013, I was working on the Australian Youth Climate Coalition’s Save the Reef campaign, working to develop the strategy behind the campaign, managing an organiser on the ground in Yeppoon, working with the Keppel and Fitzroy Delta Alliance and managing our Queensland state branch to implement campaign tactics. Prior to this I was a State Co-Coordinator for AYCC in NSW. I helped re-establish the NSW branch and built up a branch of 50 committed volunteers and eight local community action groups. After graduating, I went on to lead our campaign focusing on the Australian construction company Lend Lease to withdraw their expression of interest from the Abbot Point export terminal in Queensland. More recently, I have been appointed AYCC’s Director. I am a National Campaigner for the Wilderness Society. I have worked on successful campaigns to protect the Wenlock River and Steve Irwin Wildlife Reserve on Cape York Peninsula from a large bauxite mine, and Queensland’s Channel Country rivers from a variety of mining threats. My current role at the Wilderness Society involves strategic campaign planning, and developing and implementing a new organisational approach to community organising. I started organising in the Northern Rivers of NSW when friends and I started a group called ‘Girls Against Gas’ as part of the efforts to put a stop to CSG mining in the region. At this time I began volunteering with the Northern Rivers Young Greens as the coordinator and also started an Australian Youth Climate Coalition local group that organised a repower event to raise money for a local bakery to become more energy efficient. Since that time I have worked and volunteered mainly with AYCC in various organising roles including as the Queensland State Coordinator, Queensland Youth Decide Campaign Coordinator and Queensland Start the Switch Schools Coordinator. 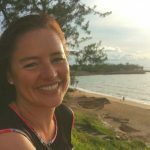 In late 2013 I moved to Mackay to help with the coal ports campaign with Mackay Conservation Group and the Australian Marine Conservation Society. 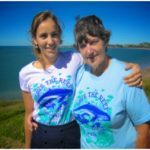 I am currently working for the AMCS for the Fight for the Reef Campaign as a Great Barrier Reef Community Campaigner in Airlie Beach. This year I will be working with the MCG designing a community sustainability project for the organisation and working on their coal port campaign (focused mainly on Abbot Point and Dudgeon Point) as a Community Organiser. I work with 350 Australia and collaborate with many social justice and environmental campaigns to expand the Divestment movement in WA, slow down and halt the expansion of coal and gas in WA and escalate the just transition to a carbon neutral society. 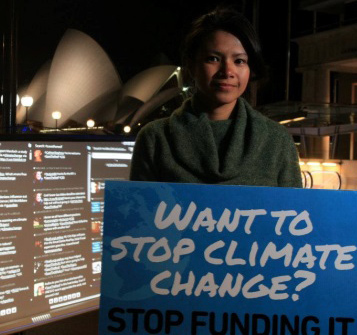 I’ve worked as a climate campaigner since 2010, when I started with AYCC. During the 2010 Federal Election campaign, I worked to influence the media and political narratives through our Climate Elephant and Meet Your Member campaigns. I worked as an organiser on AYCC’s PowerShift youth climate summits to recruit and train young people to become activists. I’ve also worked with ACF to run advocacy days in Canberra, training and facilitating community members to meet with their politicians and advocate on climate issues. 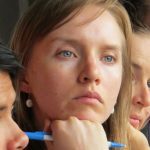 Recently I worked in Vietnam supporting young local climate activists to run sustainability campaigns. 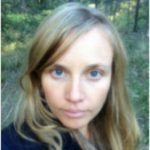 I am currently a community organiser with Environment Victoria. I support Environment Victoria’s volunteer network, and am building and facilitating the operation of three community groups in key areas around Melbourne. I am also supporting a 2014 state election ground campaign in target areas that will be run through our community network. The aim of our election campaign is to get environmental issues on the election agenda for all sides of politics, with a focus on tackling climate change and protecting nature. 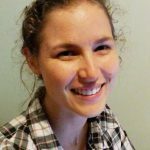 I’m a climate campaigner, working with the Australian Conservation Foundation. Previous to that, I was a community organiser working for Solar Citizens. I have been involved in activism and social change for twenty years. 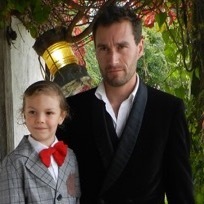 During that time I have done everything from getting arrested taking direct action at blockades to organising communities to get dressed up in their Sunday finest to meet their MPs. I’m passionate about community organising because when people come together to act to achieve a common goal they become far more powerful than they imagine they could possibly be. Ensuring that people in the community have these skills and knowledge is so important to maintaining a fair and just society. It’s also heaps of fun. 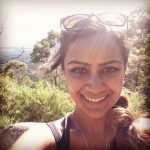 Kajute has worked as a Lead Organiser in various roles since 2010. 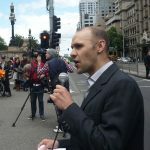 Whilst with Adam Bandt MP, he implemented an ambitious data-driven organising strategy that saw Bandt’s team at the forefront of the Greens organising efforts. 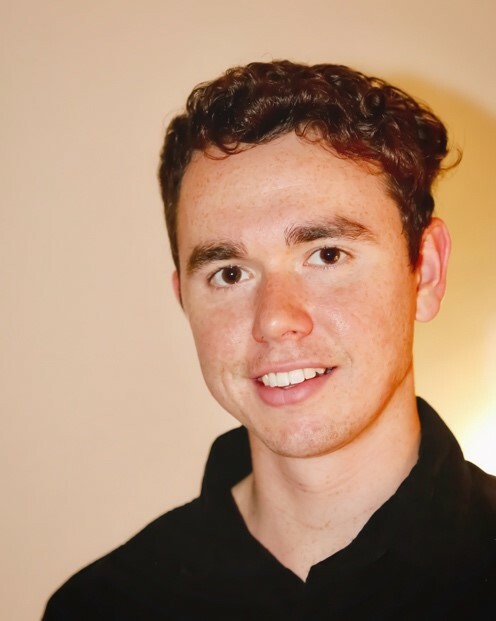 Since 2014, Kajute has been the Organising Director with GetUp, leading on the 2016 Federal election organising work that saw more than 213,000 calls made and helped unseat some of the most conservative right wing MPs in Parliament. I have had a passion for community organising around social justice issues since I was a nerdy teenager in high school running the Amnesty International Club. Throughout university my involvement in things was sporadic, limited mostly to rallies and petitions. However, for the last two years I have been an active member of Quit Coal, working to stop new coal and gas projects in Victoria. I am still working with Quit Coal in Melbourne. We work with metro communities to raise awareness about climate change and with regional communities to help fight individual proposals and raise awareness about more immediate issues of coal and gas mining. At the moment our strongest campaign is Coal and Gas Free Communities, where towns under threat from exploration licenses, conduct surveys of all landholders and then (if the landholders agree) declare themselves Coal and Gas Free. This has been highly successful, with every town (five so far) obtaining over 96% agreement. This then leads to active resistance against projects and more engagement in the general climate change debate. 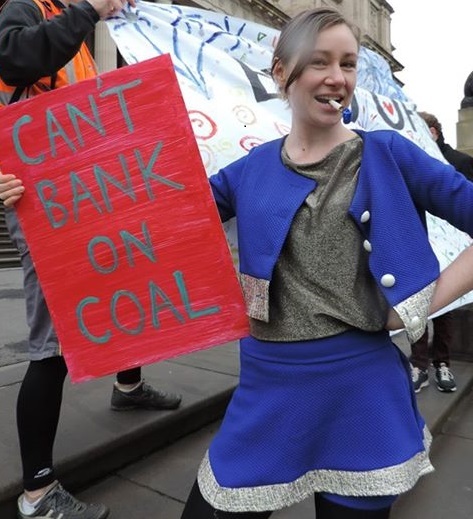 My role within Quit Coal has been Media and Social Media Coordinator, as well as helping out with basic tasks to do with running the collective and the Coal and Gas Free Communities campaign. I’m currently a community organiser with the Australian Conservation Foundation. 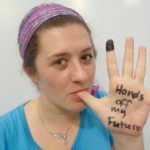 Previously, I coordinated divestment campaigning with 350.org in Melbourne. 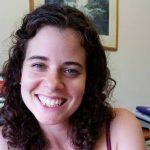 I was particularly interested in divestment as a tool for movement building: how the climate movement can reach new people, and give them tools and hope by paying attention to where the money is, especially bank deposits held by institutions to which we belong: councils, churches, schools and so on. I also convened the Fossil Free RMIT campaign at RMIT University, where I was teaching. When I studied sound at university the structure of the course encouraged fragmentation, and it was easy to lose touch with people after first year, and almost certainly after they graduated. 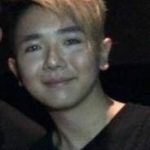 I started a club, organised a series of Friday performances and end-of-semester events for students to perform and socialise at, and started an online community site where we could discuss things and post what we were working on. 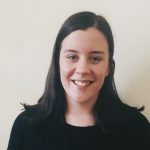 I am the Digital Campaigns Officer at the Australian Services Union NSW and ACT where I work as part of organising teams to integrate digital, industrial and face to face organising for effective campaigning and union membership growth. While studying a BA in Communications, I was a student union activist at the University of Technology, Sydney where I campaigned on education policy, student welfare and equity and diversity for all students. These included large rallies, national days of action, photo petitions and lobbying. The student body elected me as UTS Students’ Association Councillor (2009) Education Officer, Vice President (2010) and President (2011). I was then elected the National Environment Officer (2012) for the National Union of Students (NUS) – the peak representative body for tertiary students in Australia. My ‘Organising Mission’ is to achieve progressive change through collective action and politicising everyday people. 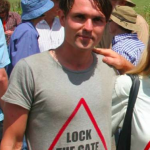 Nic Clyde is the NSW Community Coordinator for the Lock the Gate – a national grassroots organisation made up of over 40,000 supporters and more than 250 local groups who are concerned about unsafe coal and gas mining. 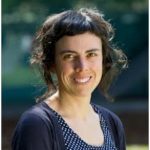 Prior to joining Lock the Gate in September 2015, Nic worked – primarily on environment and climate change issues – for Greenpeace, the NSW Greens in the state parliament and for the NSW Government in the Office of Environment and Heritage. 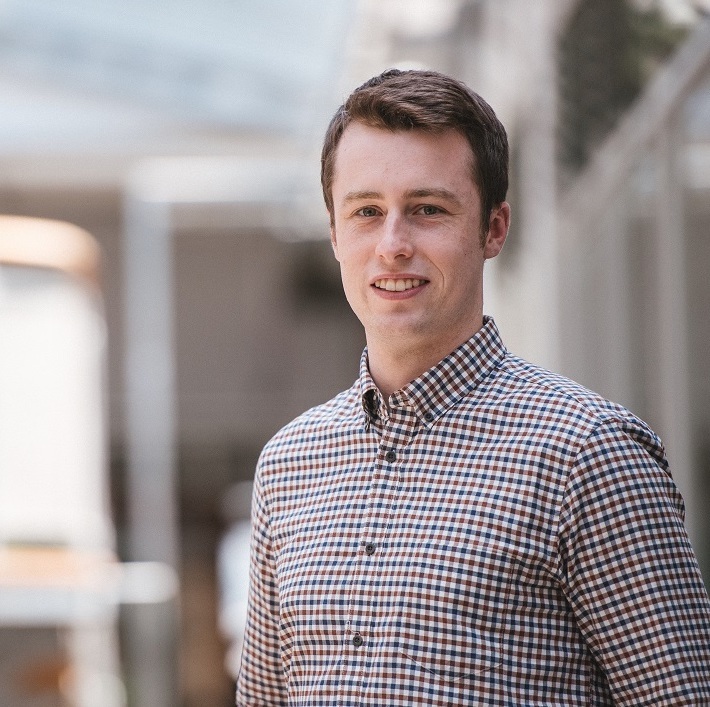 Most recently, he has exercised his community organising and campaign skills as a contractor for organisations including GetUp!, ACF, Land, Water, Future campaign and the Nature Conservation Council of NSW. My work covers a number of campaigns dealing with climate change in Victoria, focusing mainly on the four big coal-fired power stations that are responsible for 50% of the state’s greenhouse gas emissions. Before joining Environment Victoria, I spent three years at the Commissioner for Environmental Sustainability developing Victoria’s 5-yearly State of the Environment Report. I founded the Environmental Film Festival Melbourne, as a way of engaging people on important issues in an accessible way, and in a previous career, I worked in medical research, using things other than test tubes and bunsen burners trying to find ways of treating diseases. Whilst my background is in power generation mechanical engineering, I’ve spent the last 5 years campaigning and community organising on the issues of climate change and renewable energy. 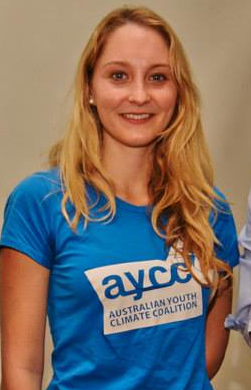 I was part of the youth climate movement for a few years, helping to establish and grow the WA branch of the AYCC. 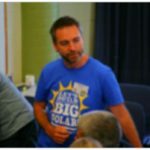 More recently I joined the Solar Citizens team as a Community Organiser, working to unite solar owners and supporters around the country to create a community advocacy voice for solar and renewables. It’s been amazing being part of the Solar Citizens journey and helping to grow the organisation from its humble beginnings to now having over 75,000 supporters and a national network of volunteers and action groups around the country. I have been an organiser with Quit Coal for 3 years now and prior to that had been involved in student campaigns at university around climate issues. I also have experience organising community arts events, such as the 2005 Brunswick Community Arts Ball. Prior to 2013, I had been actively involved in progressive politics. 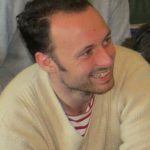 I am also involved in the Whistleblowers, Activists and Citizens Alliance and work as a freelance web developer offering pro bono and discounted rates to climate and other social campaigns. I am currently working for 350.org as part of the Leard Forest Alliance in protest against Whitehaven’s planned Maules Creek Coal Mine. This involves mobilisation work to get people out to Australia’s first coal mine blockade, as well as work at the blockade. I’ve been campaigning on Queensland’s coal exports and climate change for the last six years. I’ve worked closely with groups across Queensland who are fighting against coal and coal seam gas development on their land, mostly with Friends of the Earth. This work has been varied. I’ve been involved in all facets of organising at universities, of campaigns around court cases and with blockades. 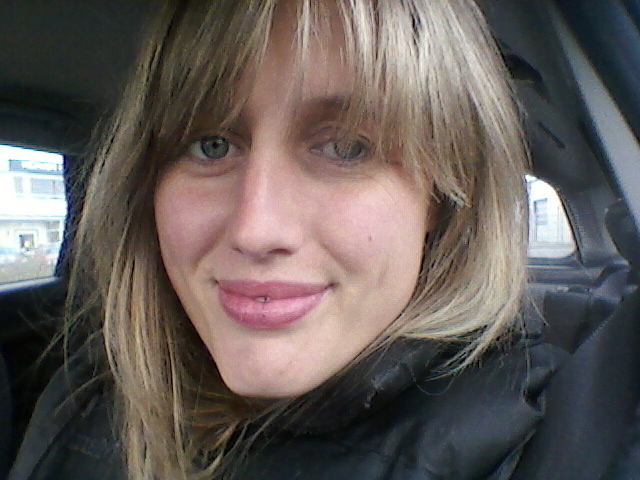 I’m currently a campaigner at Friends of the Earth Brisbane, working on the coal exports and climate change campaign. I didn’t know ‘community organising’ was a thing until I went along to a great workshop in 2009, which introduced me to many of the skills and frameworks. I’d been doing organising instinctively (though pretty badly) as part of my involvement with the grassroots climate movement. Since then I’ve had many opportunities to learn more and put ideas into practice on campaigns including Replace Hazelwood, 100% Renewables, and Vote Climate. In the last year I’ve been lucky enough to get paid to organise, working with renewable energy campaigners around the country through 100% Renewable, and solar owners and supporters through our new organisation, Solar Citizens. I’m currently on the Steering Committee for Solar Citizens. 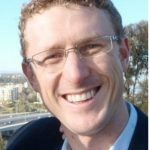 Solar Citizens is a not-for-profit which coordinates community campaigns to see Australia transition to renewable energy. In 2013 we started Solar Citizens, a separate initiative, which focuses on uniting solar owners, workers and supporters all over Australia. Solar Citizens will be our primary focus for grassroots organising work this year. I’m currently spending quality time with my new baby boy and look forward to returning to the world of community organising in the future. 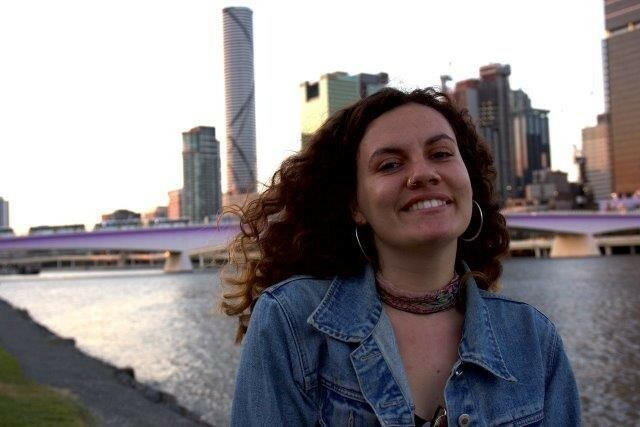 I began organising through the Australian Student Environment Network, mobilising students concerned about environmental and social justice to organise on campus through enviro collectives and outside of campus by supporting grassroots campaigns in their area. 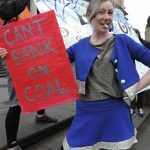 I helped to form Quit Coal Sydney which provided Sydney city-based direct action support to coal and gas campaigns from across New South Wales. I was in the We Stand with Jono collective which supported Jonathan Moylan though his court trial for his press release action against ANZ. I have been involved in the Leard Blockade almost since the beginning and continue to work on this campaign as the Maules Creek community struggles against Whitehaven Coal. I currently work for Solar Citizens as Campaign Coordinator. We are working on a campaign to save and increase the Renewable Energy Target, a Queensland Election campaign (that will have finished by the first workshop) and other smaller campaigns. Community organising is about giving people the skills, structures and confidence they need to take action and to encourage them to join a movement. It’s about opening avenues for community members to get involved in ways that make them feel empowered and like they are affecting change. From an organiser’s perspective, it’s also about finding the most effective ways to draw on that pool of supporters and build a strong base for your campaign in order to put pressure on decision makers. It’s about building a movement and power from the grassroots to enact change. 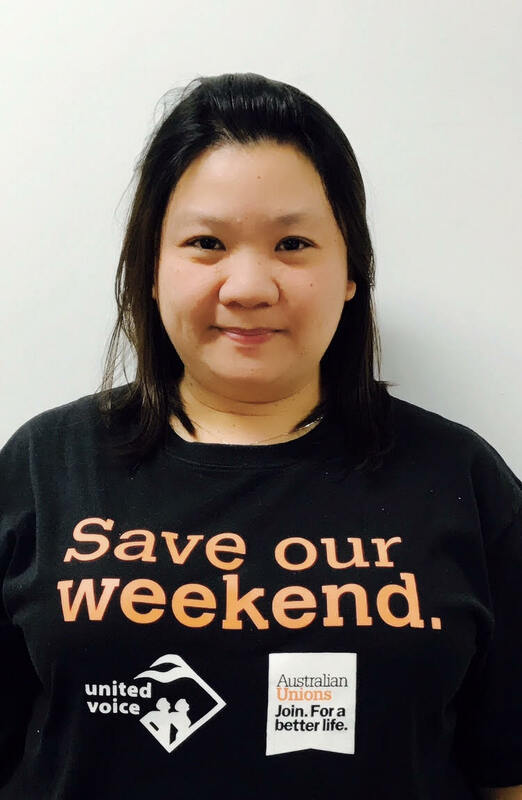 I’m a campaigner within GetUp’s rapid response team, and on our ongoing climate and refugee campaigns. My role involves planning and implementing campaign strategy and drafting campaign content for our emails, website and social media. Recently our team has expanded our scope to find ways of engaging our membership in offline actions – whether it be organising a candlelight vigil for our refugee campaign, or a march through the streets of Melbourne to coincide with a global movement of climate action. I’m increasingly looking into ways in which we can shift the way we campaign and organise, to a more decentralised structure that will provide opportunities for our members to step up and assume leadership roles to campaign within their community. I work for the Australian Marine Conservation Society on the Fight for the Reef campaign in Airlie Beach. Fight for the Reef is a joint campaign between the Australian Marine Conservation Society and the World Wildlife Fund. The aim of the campaign is to raise awareness of the industrialisation occurring on the Great Barrier Reef’s coastline. My role as the Great Barrier Reef community organiser is to mobilise the tourism industry and community. I’m also an active organiser for the local group Whitsunday Residents Against Dumping. 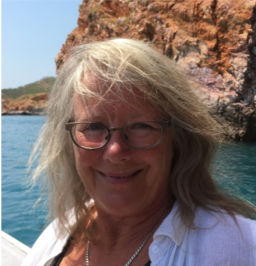 My role is to raise awareness about dredging, dumping and shipping threats to the Great Barrier Reef, campaign for a ban on dumping in the World Heritage Waters, mobilise and support the community, and maintain a strong, powerful media campaign to increase public awareness. I am currently working with Quit Coal, a collective of Friends of the Earth, and Lock the Gate to stop the expansion of the fossil fuel industry in Victoria. Our campaign spans the state, with 50 active groups from Bairnsdale in East Gippsland to Nelson in the South West corner near South Australia. We do what we can to support communities in their campaigns against local fossil fuel project proposals, and coordinate a state-wide campaign. We’ve maintained a moratorium on unconventional gas for nearly 4 years, and as yet no sign the government will allocate the 13 billion tonnes of brown coal bound for export to Asia! We have found non-hierarchical and consensus-based decision making models integral to our group development and volunteer development. They have helped us create a dynamic and and flexible social movement that’s producing some amazing political results in our campaign in Victoria. I first learned about organising when I was a journalist and member of the Media, Entertainment and Arts Alliance. I’ve worked as workplace organiser and lead organiser in the union movement and I led online communications for the Every Australian Counts campaign for the National Disability Insurance Scheme. I see community organising as developing leadership in people so they can use the resources they have to create the leverage they need to get what they want – together. These days I’m privileged to work with Solar Citizens, an independent, community-based campaign working with supporters and volunteers around Australia to stand up for the rights of solar owners and for sensible solar and renewable energy policy. 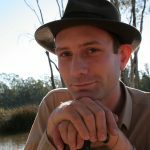 I am working at Market Forces - an affiliate project of Friends of the Earth that seeks to expose the institutions that are financing environmentally destructive projects and help Australians hold these institutions accountable. We are currently focusing on banks and superannuation funds that are funding the fossil fuel industry and developing tools to help people switch to better banks and super funds. During the last 18 months I have worked with teams of Market Forces and 350.org volunteers to deliver a number of banks switch divestment days. The teams of volunteers have consisted of up to 15-20 people and have involved and have involved training up leaders to run the events across the country. 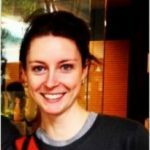 I’m a medical doctor working in a Melbourne health service. 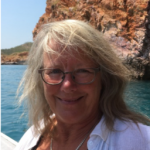 I’ve had an uneasy feeling for years that climate change is a slowly but inexorably unfolding global health emergency… but it was only in 2013 when I joined Doctors for the Environment Australia (DEA) that I realised how I could start to address it. At the same time I got a taste for community organizing. 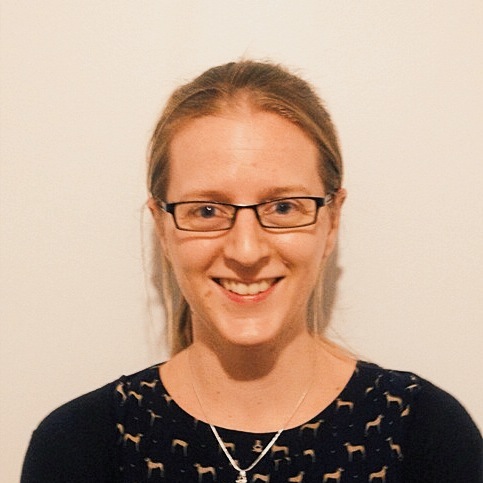 I’ve since tried to apply community organising principles, firstly as DEA’s Victorian Student Representative, then as Promotions Team Leader for our 2014 conference, iDEA14, and most recently as a coordinator of DEA’s new “Junior Doctors Victoria” network. I’m keen to build new partnerships with other stakeholders in the health sector and the rest of the climate movement. For the last few years I have been volunteering on mainly university campaigns. 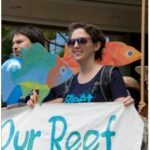 I was AYCC’s Queensland grassroots coordinator, organising community groups around reef and climate campaigns. 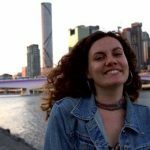 For the last year I have been volunteering with 350.org as Queensland campus divestment coordinator, organising and supporting four different university divestment campaigns in Queensland through fossil free university groups. I have also worked on a few federal and state election campaigns with different environmental organisations. In my current role I am responsible for mobilising and supporting groups on campuses through providing strategy advice, training and organisational structure. 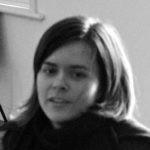 I began my organising journey as a Campus Organiser in South Australia with the Australian Youth Climate Coalition. 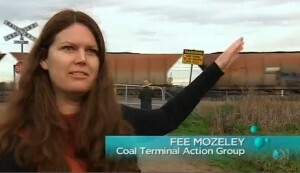 I moved to Queensland, and worked with the Keppel and Fitzroy Delta Alliance to organise against proposed coal ports. For me, the distinguishing feature of community organising is durable power, wielded by many. 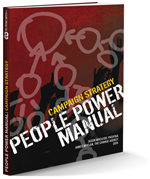 The power built comes from the community affected, who can continue to utilise that power after a campaign is over. I really love strategy development; it’s what gets me out of bed! I’m a lead organiser for GetUp, responsible for overseeing the operations of our field campaigning on climate in NSW and Victoria. I gained the majority of my organising experience in 2014, when I managed a team of 4 organisers to carry out GetUp’s first marginal seat state election campaign in Victoria, in partnership with Environment Victoria. This is my fourth year at GetUp, after walking in the door as a volunteer in 2011. Before my current role, I was a campaigner focused on election mobilisations, and before that, I was a membership officer responsible for engaging to our members campaign ideas and feedback. One thing led to another from these formative days and I got involved with the AYCC, where I was properly introduced to the ideas of extreme climate change, youth campaigning, and gaining some agency in the struggle for our future. So ensured 3 years of active learning as a coordinator of school projects and then the Canberra team, making friends across Australia, deep frustration at times and ultimately feeling like I’d done my dash and was ready to get fully immersed in the academic world. Then along came the Bill McKibben whirlwind Do The Maths tour, and once again I felt that sense of exciting and possibility. I got involved in setting up 350 Canberra and 18 months on am still helping coordinate our local campaign to get the ACT Gov to divest from fossil fuels. I am volunteering with the Climate and Health Action Network (CHAN). We are a network of health students, health professionals and anyone with a background or interest in health, who are working towards informing and training others in climate action in the Gippsland region. Community organising is widespread and perpetual sharing of skills and knowledge between people of all walks of life, so people can work together effectively. The end result is people overcoming barriers to working together, becoming collectively enlightened and empowered, and banding together to achieve a common goal. Community Organising is grassroots-led solutions to create change. I think it differs from other approaches because it is the most impactful. It’s also the only type of organising that has created any change for Aboriginal people. I am the National Co-director of SEED. I’m passionate about a range of social justice issues facing Indigenous communities and seek change through self-determination and indigenous youth leadership. 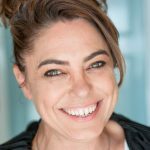 I have previously worked for Oxfam across their Indigenous programs to help young people and women engage with decision makers and advocate on behalf of their families and communities. One thing that I bring is knowledge of how to communicate and advocate for Aboriginal communities – it’s something that I’ve learned from growing up on country, and it’s what gives me the most satisfaction in my job. 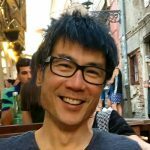 As Friends of the Earth’s renewable energy coordinator, I’m responsible for devising campaigns that defend renewable energy or accelerate the rollout of the tech. Our current practice blends political strategy, media strategy and community organising. Yes 2 Renewables (Y2R) is Friends of the Earth Melbourne’s campaign for 100 percent renewable energy. 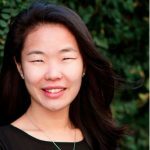 Y2R empowers communities to win local campaigns that accelerate the transition to 100 percent renewable energy. The campaign works in partnership with community group and engages with workers, businesses and other stakeholders. 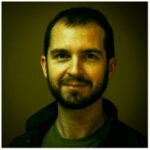 I’m a co-director of the Community Power Agency; a workers’ co-operative that supports Australia’s fledgeling community-owned renewable energy sector. We are a founding member of the Coalition for Community Energy (C4CE) and between these two organisations I work to build grassroots leadership and support for the improvement of national and state policy for the community energy sector. The Fellowship programme creates the perfect environment to learn new community organising skills and apply them practically as they develop while building friendships and networks amongst some of Australia’s most dynamic up-and-coming change makers. 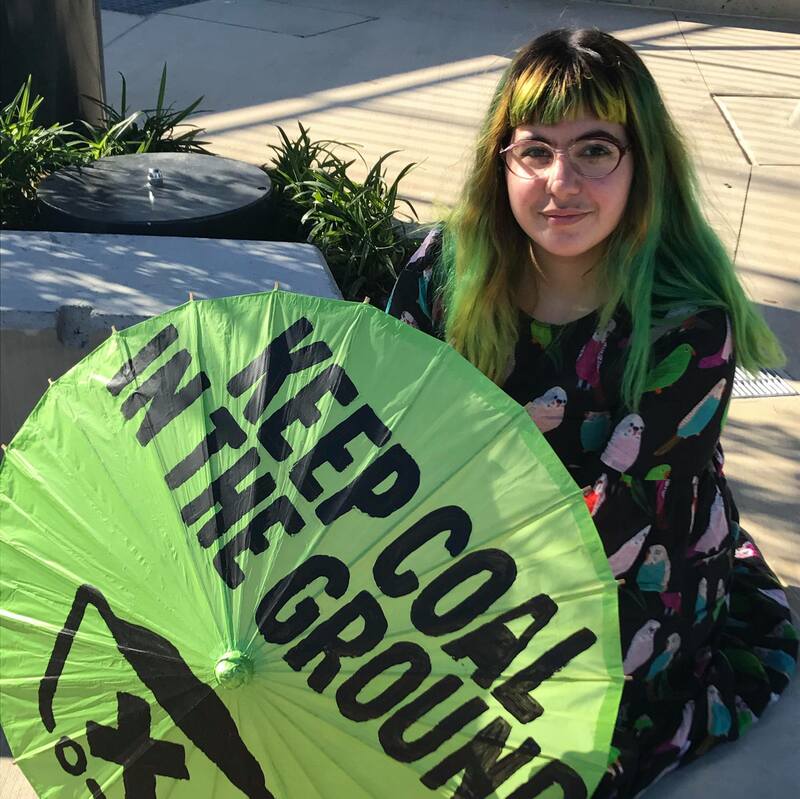 I’m have volunteered for the Australian Youth Climate Coalition and SEED network to liaise, mobilise, organise and support Traditional Owners within their local communities in Australia against the fossil fuel industry. While I was at High School, I campaigned for the local Yaegl Language to be taught in my local community and schools. 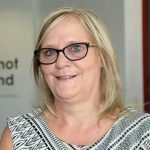 I enjoy networking and communicating with different people and therefore a special skill and interest of mine is grassroots community organising and supporting local community individuals, groups and organisations. I played a central role in building up Beyond Zero Emissions organisationally, including much of the initial recruiting and overseeing pro-bono researchers for the Stationary Energy Plan, and initiating and organising the public talks program that saw well over 1000 public talks delivered by volunteers. I currently lead public engagement for the Australia Institute on mining issues. This involves visiting regional communities and communicating our economic research in local communities, including engaging local stakeholders such as councils, business groups and unions. 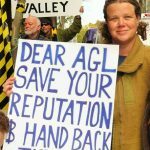 I began organising with local climate action group Climate Action Moreland in 2009, and was a founding member of the Quit Coal collective that grew out of the Switch Off Hazelwood protests. Some of my most enjoyable organising experiences were with Quit Coal’s successful Stop HRL campaign. I’ve had voluntary organising roles in a range of other grassroots and small organisations including Sea Shepherd and Beyond Zero Emissions. 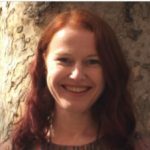 My staff roles with Climate Action Network Australia and Doctors for the Environment Australia, both involved using community organising skills. A great privilege of working in health care, particularly in mental health, is to work closely with, and hear the stories of, people from across a wide range of experiences of Australian society. This helps develop an understanding of the values and the difficulties that are common to us all. I hope this perspective can be useful in assisting our social change work. My formative community organising experience came through involvement in the grassroots collective Rising Tide, where we involved the local community in Newcastle, the Hunter, and beyond, in coal and climate change campaigning and non-violent direct action. Later I spent five months living at the Walmadan (James Price Point) blockade camp and working with Goolarabooloo, Broome locals, and visitors, to run the camp and engage in nonviolent direct action. In 2012 I got involved in the sustainable living community in Perth, I facilitated Living Smart training and convened a committee to set up a community garden. 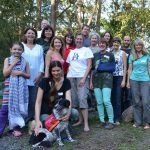 In 2013 I attended Students of Sustainability and have since been helping various groups organise events, actions and NVDA training in WA, including WA Forest Alliance, CCWA and 350.org Perth. Last year, I organised Conservation Council of WA’s community outreach program, including community market stalls and phone banking ahead of the Senate by-election, which is when I came across the term Community Organising, and it felt like pieces of the puzzle started falling into place! I’m currently President of the Australian Religious Response to Climate Change. I have a spokesperson role and assist with coordination of ARRCC activities. I coordinate in areas of policy and advocacy and the Go Fossil Free work. It is the latter campaign which has led us to be more involved in campaigning at Maules Creek. In 2015 one of our campaigns will be to capitalise on Pope Francis’ encyclical on the environment to encourage more determined faith-based responses, especially to calls for divestment. A social worker by profession, I have a long history of campaigning on global poverty, mainly in a voluntary capacity; I’ve been an advocate for fair trade, debt cancellation for the global South and more and better Overseas Development Assistance. In my search for the most fulfilling way to tackle climate change, I’ve come 180 degrees from the regimented realm of marine science to the world of social change where human relationships and messaging reign supreme. In my exploration of the climate movement as a volunteer and employee in Victoria, I’ve always wanted to give people a way to work collectively and more strategically to make the future better. I was fascinated by the different kinds of community organising I took part in at Environment Victoria (EV), the office of Adam Bandt and Lock The Gate. As a volunteer with EV I helped to regain momentum after a big campaign and start an offshoot volunteer group in my own community. 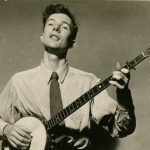 I am a Melbourne based musician, composer and teacher with a background in improvisation. After a year spent in Indonesia watching the effect of unfettered ‘development’ I decided to get active on environmental issues. Initially I worked with a local climate action group, supporting larger state and national campaigns like Quit Coal and 100% Renewables, and lobbying our council to adopt sustainable policies and practices. 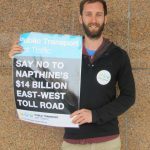 In 2013 I found myself vigorously campaigning against the East West Link toll road alongside affected residents, councils and inner suburban community groups. Later I helped to establish Public Transport Not Traffic (PTNT), an affiliate group to Friends of the Earth that focused on mobilising communities in marginal seats in the lead-up to the state election. Our efforts were rewarded in late 2014 with a change of government and the eventual scrapping of the toll road. 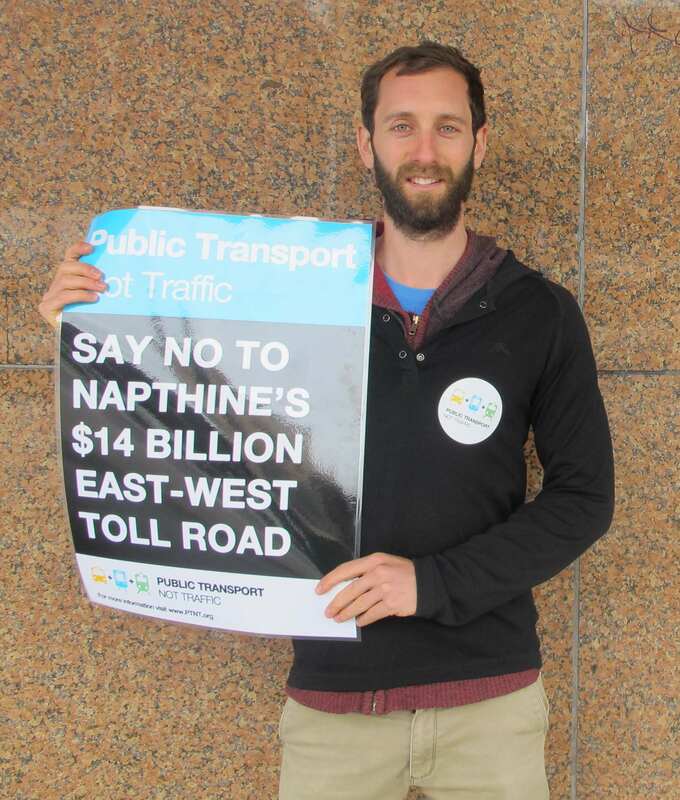 I’m currently the lead campaigner for PTNT working to empower individuals and community groups across Melbourne to fight for increased investment in public transport and other forms of sustainable transport. What makes some people care passionately and others expend their lives in a daily round of consumption, leisure and work? One key influence was the sudden realisation as a teenager that, ‘There but for the grace of God, go I’. I could have been born anywhere as anyone. The realisation of privilege, Protestant guilt laced with specifically Methodist duty made me a hopeless workaholic. Since 2013 I have engaged in field campaigning, most particularly leading doorknocking and phone-banking teams. 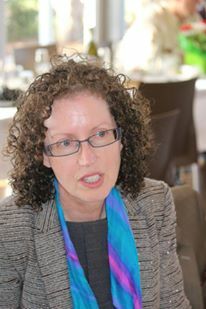 In 2015 I established and convened Curtin’s CASE, a group responsible for delivering to Julie Bishop, Australia’s lead negotiator at UN climate talks, over 7000 communications from her electorate and beyond – petitions, letters, emoji postcards; a climate change survey; public actions outside Julie Bishop’s office; school visits; speaking engagements with local clubs. 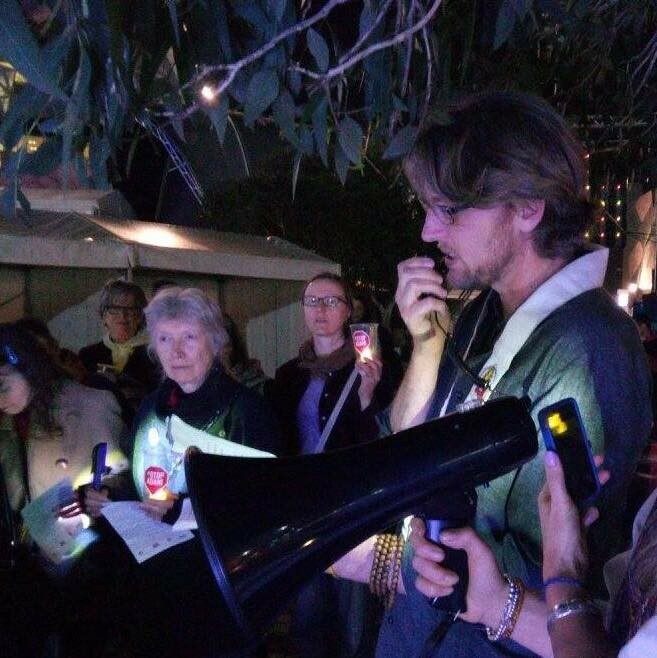 I am active member of the Perth Organising Committee for the People’s Climate March 2015, including co-convenor of the doorknocking exercise in Julie Bishop’s electorate. If I could change one thing in Australian politics, I would extend people’s active engagement in the democratic process to create a real participatory democracy. Most of my community organising experience has been in the last two years with the Australian National University’s Environment Collective. This has mainly been volunteering with the Fossil Free ANU campaign, but also includes the Environment Collective’s Front Line Action on Coal working group and organising Canberra’s 2014 People’s Climate Mobilisation. My main focus is presently Fossil Free ANU, where I am a co-coordinator, and we are continuing to campaign for full fossil fuel divestment. I have spent the past five years organising frontline communities in their fight against irresponsible coal and coal seam gas mining. I began by setting up a community group in north west NSW with farmers, indigenous elders and residents. I then moved into organising frontline urban communities in south west Sydney against coal seam gas and coal projects in the Macarthur and Illawarra regions. I have also worked as an organiser with United Voice Union. I am currently the Western Sydney Co-ordinator for Lock The Gate Alliance working alongside the Sunrise Project and the NSW Nature Conservation Council on the Our Land, Our Water, Our Future Campaign. My first exposure to community organising was through my involvement with the Victorian Greens during the 2014 State Election. I volunteered as a Neighbourhood Organiser and ran door-knocks, stalls and other events. I’ve since moved back to my hometown of Perth where I have continued working as a community organiser. I currently work as the community organiser on the Our Outback, Our Storycampaign. Our campaign aims to secure historic reforms to WA’s unfair pastoral lease laws to allow and incentivise people living on Outback stations to move into more sustainable land uses such as tourism, conservation, carbon sequestration and cultural enterprises. We are advocating for a modern Outback that protects our most special natural places, rewards those who manage their land well, and encourages new enterprises and jobs that look after the land. 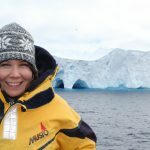 In the last few years I have been devoting my life to my passion: drawing on my background to bring together people, information and ideas for game-changing visions and strategies to help us survive and thrive in the face of climate change and other ecological crises. After a few years helping a range of causes at various levels, I now have greater clarity about where I can make the biggest differences. I now focus on building the leadership that people of faith are increasingly taking in calling for greater connection with our precious world and each other, and particularly for serious action to protect our world’s ability to sustain life as we know it. I am particularly working on engaging and mobilising people of diverse faiths in the lead-up to and beyond the Paris climate talks. I do this at local, national and international levels, mainly with Australian Religious Response to Climate Change (ARRCC). I help the ARRCC Chair with the heavy lifting on advocacy and growing ARRCC’s connections, engagement of contacts, effectiveness and sustainability. 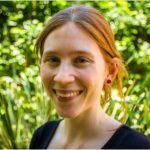 I am the faith coordinator for the Canberra People’s Climate March and link with organisations like OurVoices, The People’s Pilgrimage, FastForTheClimate, Green Anglicans. Working with my team at 350.org Melbourne we organised community members in the city of Moreland to engage with their local council, in our campaign to have them divest from fossil fuels. 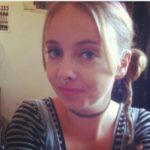 I am currently acting as the Melbourne coordinator of 350.org. This voluntary role involves organising our small but active team of local volunteers to run campaigns and support the work of 350.org nationally. My role includes campaigning, strategy, communications, organising and helping to empower others to do the same! This year we have focused on fossil fuel divestment in local governments and the campaign to encourage the Big 4 banks to rule out lending to the proposed coal projects in the Galilee Basin. I have also spent a bunch of 2015 working on non-violent direct action facilitation and training. Recently, I began working at The Wilderness Society as the operations coordinator for the Wilderness Defenders team. I have been a Pastor in Western Sydney. I preached, prayed, counselled, taught, engaged in missions, administered, helped people with disabilities, spoke on TV… and I became very interested in the future of our planet. This conversion had two stages. My oldest son moved to Newcastle. When I saw him, I couldn’t get the coal ships out of my mind. 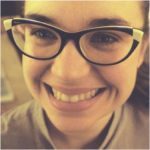 Two months later, at the end of a church service, I was prayed for, and ended up on the floor. I saw a new baby and her mother nearby, and was struck by the enormity of what we are doing to our world. 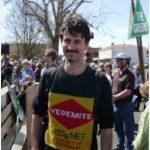 I became engaged in things as best as I knew how: I attended rallies, vigils, anti-coal conferences, spoke against the T4 Terminal, I joined Eco-Mission and WSEN, and I went up to Maules Creek a number of times, including being arrested. Now I am organising a Walk for Water, to be held during the Paris Climate Meetings. The walk is from Sydney to Wollongong, highlighting the preciousness of our water supply. 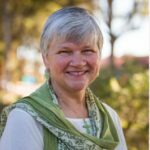 I am working with the Australian Religious Response to Climate Change (ARRCC), engaging people of all faiths with the seriousness of climate change, and moving them towards action. My background is in behavior change – engaging people, motivating them to change, breaking down barriers to change and supporting them to maintain their new behavior. In this capacity, I’ve run a sustainable living business and worked with Environment Victoria on programs engaging marginalized communities. But I’m a problem solver by nature, so I’ve found myself playing a lead role in a number of local community organisations and campaigns, including a couple of successful campaigns to save local historic buildings of significance to the local community from private development. Through these activities, I’ve taught myself many community organising skills. In my deep dark past, I also moonlighted as a Tupperware lady for six months (community organising with plastic). I am the Director of Climate for Change. A new organisation that seeks to create the social climate in Australia for the radical action we need to stop climate change. We do this by engaging people who are sympathetic to climate change but either not engaged or not active and supporting them to take regular action and to talk to their friends and family about climate change. Our Theory of Change is based on social diffusion theory which describes change as passing from a small group of innovators through a larger minority of early adopters to the early majority (critical mass). This process happens when people have conversations with people they know and trust. Our approach is therefore to encourage and support conversations between early adopters and their friends in the early majority. Our primary model for engagement is the “Tupperware Party model” – no plastic, but small gatherings in peoples’ homes each of which generates at least one more. My first community organising experience came in campaigning for a congestion charge in Edinburgh, Scotland and a short stint as a community organiser with the 100% Renewables campaign. I’ve campaigned with Friends of the Earth Ireland on Climate Change and Friends of the Earth Scotland on transport and climate justice issues and lots of environmental justice campaigns in between. 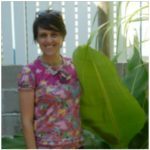 I’m currently establishing Energetic Communities Inc. to develop community energy in Queensland and to make sustainable energy more accessible to low-income households and communities. I also teach appropriate technology as part of a permaculture design course. 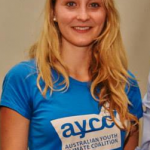 I came to community organising through the Australian Youth Climate Coalition (AYCC). After Powershift 2011, I coordinated a local youth climate action group in my community for about 1 year. After this, I became a grassroots campaigner; recruiting, training, managing and supporting volunteer leaders to coordinate local groups and roll-out campaigns to stop coal exports on the Great Barrier Reef. 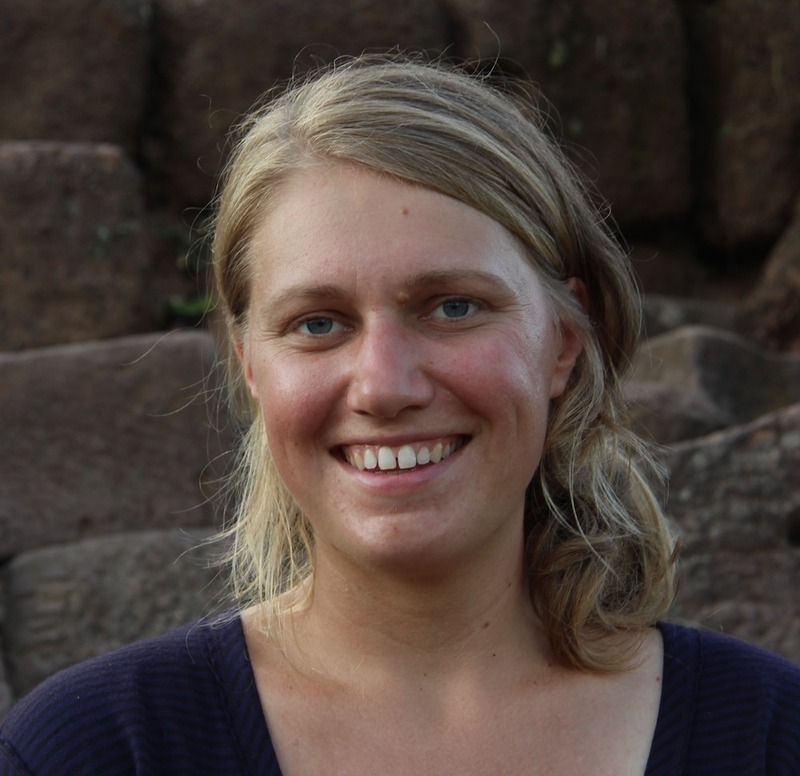 I currently work as a community organiser for the Australian Conservation Foundation (ACF). I am working in the electorates of Melbourne and Kooyong, with the aim of increasing the number of trained leaders and actively committed supporters to achieve ACF’s campaign goals around climate and environmental protection laws. My metrics are activity-based, measured predominantly in the number of 1-on-1 conversations my volunteers have with constituents in the lead up to the Paris Climate Rally in November 2015. Around these metrics I have set transformational goals: how many people have deepened their commitment to the movement long-term and how many lasting relationships have been formed? 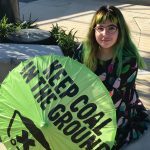 I’ve been organising with the Australian Youth Climate Coalition (AYCC) in NSW for two years- working with school, community and university groups to build power and run strategic campaigns. 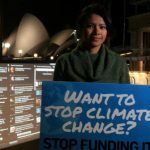 Before I organised with the AYCC, I spent time working with Sydney’s Pacific Island community, working to create a platform for their voices to be listened to on climate change by the rest of the Australian community, particularly our politicians. During 2015 I worked to build the skills and the power of AYCC’s NSW state branch, and supported them to work on our successful campaign to prevent Australia’s largest banks from investing in the expansion of the Abbot Point coal port, 50km from the Great Barrier Reef. I have also been coordinating the Switched on Schools program, AYCC’s high school organising arm, in NSW. 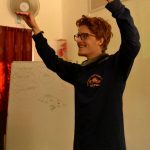 I have been training and building groups of volunteers to deliver two-day intensive programs in strategic electorates around the state, and helping high school students to develop and implement sustainability action plans for their schools, as well as realise their potential as young change makers. 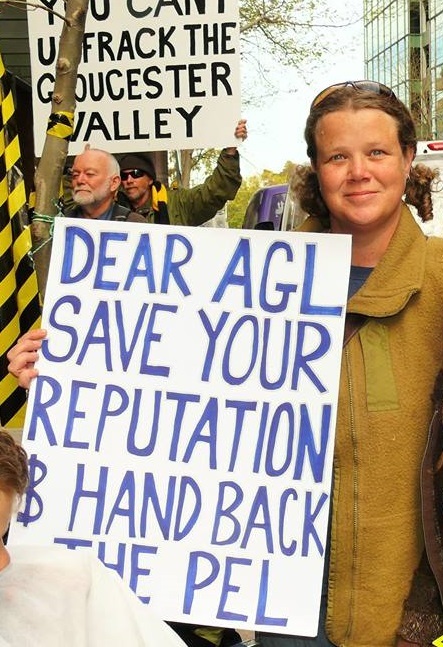 Currently I am working with Groundswell Gloucester in opposition to AGL’s Gloucester Gas Project, GRL’s Rocky Hill Coal Mine and occasionally Yancoal’s Stratford & Duralie Coal Mines. 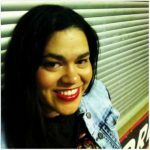 I focus on mediating between groups & translating technical terms, encouraging those who are new to the movement & supporting my peers. I am interested in campaign strategy and what it takes to motivate individual people into further action. I see community organising as community healing. Only when a level of harmony is reached within a community, can they begin to really move forward & be productive. 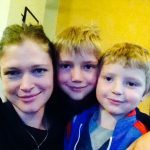 As a mother of four young children, I am keenly aware of the impact we are making on their future and the best way to lead is through example. I have participated in, worked with and helped organise with Groundswell Gloucester, Gloucester Knitting Nanas Against Gas, Gasfield Free Communities, Join Take Action Gloucester and Sustainable Futures. 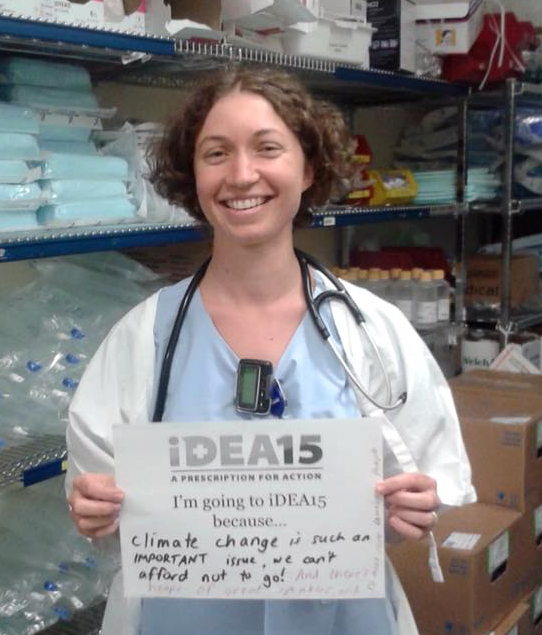 Most of my organising work has been for Doctors for the Environment Australia. I’ve previously been involved with recruiting my colleagues to the environmental health cause, and implementing media initiatives to the general public on climate change. 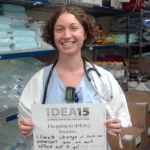 I’m currently Doctors for the Environment Australia’s Policy and Advocacy Officer. Over the last year, I’ve been involved in a campaign on children’s health and climate change, including a writing a report for the general community, media work, political engagement and organising an online open letter for parents. I’m also currently involved in air pollution research in a coal mining area and hope to engage the community with the results. Earlier in the year, I was active in advocacy to encourage larger medical organisations and my colleagues to be vocal on climate change. I’ve also helped out with a number of our organisation’s other initiatives on capacity building, divestment, climate change and air pollution. I was active in unions throughout my working life at many levels and enjoyed helping and motivating people to stick up for themselves and others. I tried to take on environmental issues through enterprise bargaining. 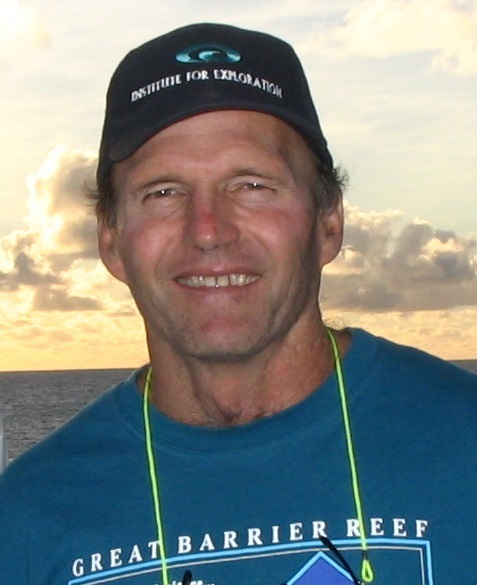 After retiring I focused on getting more active in the environment space and ended leading, recruiting, educating and empowering others to contribute towards better renewable energy policies. 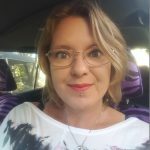 I’m now the volunteer coordinator for the South Australian Solar Citizens team. We’re working on the “Stand Up For Solar” campaign which is designed to achieve national policies supporting the expansion of renewable energy particularly domestic solar pv. The SA team is contributing to and implementing campaign strategies designed to encourage grassroots engagement with politics and politicians by linking the practical and highly visible proliferation of pv with the policies that affect it. Since completing the Fellowship I have taken on developing an advocacy movement around Education for Sustainability in order to draw in more people to the climate movement and also am helping develop a 2018 University of the Third Age course ‘Creating a Climate for Change’ focusing on climate and renewable energy and pointing the participants in the activist direction. My first experience in community organising was as a university student, helping to coordinate the local food cooperative. 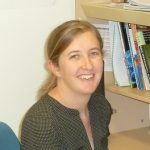 Since joining Doctors for the Environment (DEA) in 2012, I have been involved in projects such as organising workshops on climate change and health and advocacy skills at the national DEA conference, speaking at and organising community events and working with others on submissions and a policy document. I’m currently working with DEA in the NSW committee. My work at the moment is helping with various projects including mobilising doctors and medical students for the People’s Climate March, and recruiting new members. I also facilitate a western Sydney subgroup of DEA, who are working on local issues of hospital sustainability and organising events to educate other doctors on the links between climate change and health and the need for doctors to be advocates on this issue. I am currently Head of Campaigns, Oaktree (youth-led, anti-poverty organisation). Previously worked for Jhatkaa (Indian equivalent of GetUp!) and did organising for two federal parliamentarians. Oaktree is young people leading a movement to end poverty. For us, change starts with two simple beliefs – that extreme poverty is unacceptable, and young people can do something about it. Beliefs turn into action, and enough informed action will end extreme poverty in our lifetime. Oaktree is one of Australia’s largest youth-run organisations with over 150,000 members. I lead Oaktree’s social and political advocacy work. We’re currently campaigning around climate change impacts on developing countries. For the past 10 months I have worked as the community organiser for the Environment Council of Central Queensland. This work has included: recruiting and maintaining membership, creating and maintaining website and Facebook page and running a variety of events and projects. One of the more significant projects was the development of the Great Barrier Reef Divers (GBR Divers), a group of dive professionals who live and work on the Great Barrier Reef. 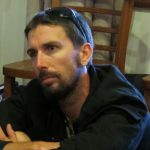 The GBR Divers is an advocacy group with a unique perspective on the health of the Reef; they don’t just read about the impacts on the reef, they see the impacts. Our campaign has two major goals; protect the Great Barrier Reef and combat climate change. To this end, we have created the Great Barrier Reef Divers (GBR Divers), a group of dive professionals who work on the Reef and are passionate about protecting the Reef. The GBR Divers represent an important element of the tourism industry. The GBR Divers bring a unique perspective to the campaign as they “experience the impacts on the reef.” Currently, we are building support and raising the profile of the GBR Divers through road trips and media promotion. We are developing leadership within the GBR Divers through training workshops. 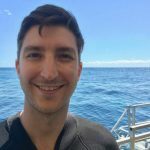 We are also collaborating with the scientific community and building a list of friendly Reef scientists who are willing to work with GBR Divers on projects and media. Our next step will be to establish the value of GBR dive tourism through research and a report. We are building towards future government decisions regarding the Abbot Point/Carmichael Mine project. We are also preparing for the federal election where the Reef will become a major campaign issue. 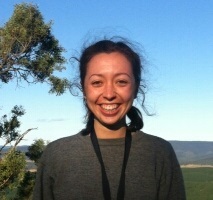 I am a 19-year-old Arrernte woman living in Canberra and studying at ANU. 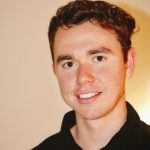 I have been involved in the environment and climate movements for 3 years and was the recipient of the ACT Conservation Council Young Environmentalist of the Year award for 2015. I am dedicated to fighting for climate justice, to protect my country and build a better future for my people. 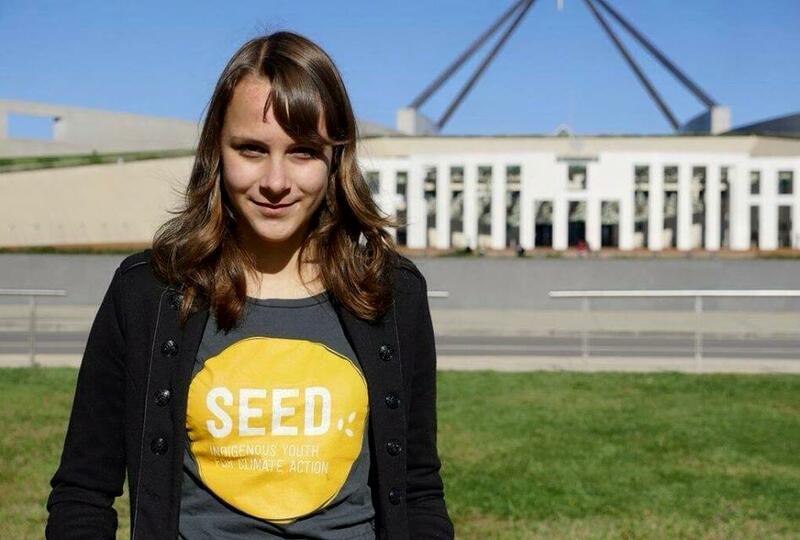 I am the ACT state coordinator for Seed Indigenous Youth Climate Network. 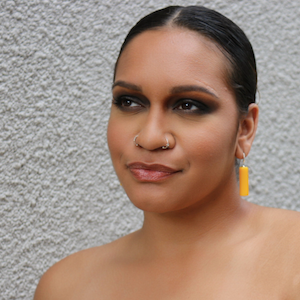 I strongly believe in giving other Aboriginal and Torres Strait Islander young people a voice to speak out against the impacts climate change is already having on our communities, and the opportunity to lead the way to a society that is more fair and sustainable for everyone. I was raised in the Dandenong Ranges on the outskirts of Melbourne. I am a mad dog lover, traveller and dodge-baller. 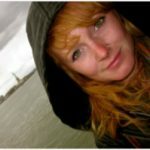 I have been working on climate change for around 5 years. Since starting, I haven’t looked back! Connecting with other people on an issue we care deeply about and pushing for change never stops being incredibly fulfilling, frustrating at times, emotional and rewarding work! I started out volunteering with Beyond Zero Emissions, eventually becoming the Melbourne branch convenor and working there for a stint. In 2013, I was the University of Melbourne Student Union Environment Officer, where we started the Fossil Free MU campaign calling on the University to stop investing in fossil fuels. Since then, I have worked for 350.org Pacific and spent 3 years working for 350.org Australia as a campus divestment coordinator. 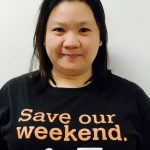 In early 2017 I started working for GetUp as the Victorian Community Organiser, with a focus on setting up a big network of local GetUp Action Groups in Victoria and around the country. 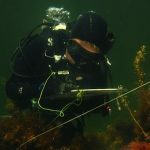 Amelia Fowles is a Tasmanian marine scientist, active around conservation, working to protect biodiversity, increase awareness, communicate science and support communities. 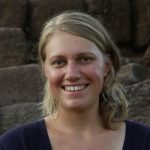 In 2012, Amelia was the Australian Youth representative to the Convention on Biological Diversity and Conference of the Parties India, where young conservation leaders of the world rallied to hold world leaders to account. 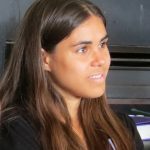 She has helped create networks for indigenous youth at the World Indigenous Network Conference in Darwin and more recently she was involved in organising a pre-capacity gathering for young professionals at the World Parks Congress in Sydney. 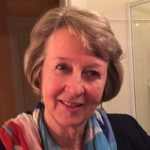 Carolyn Ingvarson convenes Lighter Footprints, a climate action group she founded in the Kooyong Electorate. Carolyn works to support the group’s members to understand the science and practice of energy efficiency and sustainable living in our own lives. She is committed to learning how best to work towards change in our community, including working with local politicians at state and federal levels. Carolyn’s current focus is energy policy at state and federal levels, building contact and meeting with local councillors on low carbon strategy projects. Cat Nadel works with Environment Victoria as a safe climate campaigner. Her role involves implementing campaigns designed to accelerate the closure of Victoria’s largest source of climate pollution, the brown coal power stations in the Latrobe Valley. 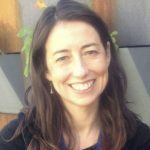 Her role involves helping communities communicate their concerns to the state and federal governments, encouraging them to implement ambitious climate policy and advocating for a smooth and just transition for communities in the Latrobe Valley. 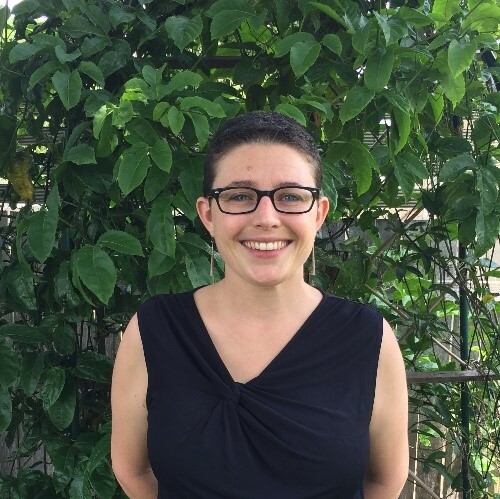 Chantelle McKenna is a digital organizer with the Together union in QLD and manages their member contact call centre. 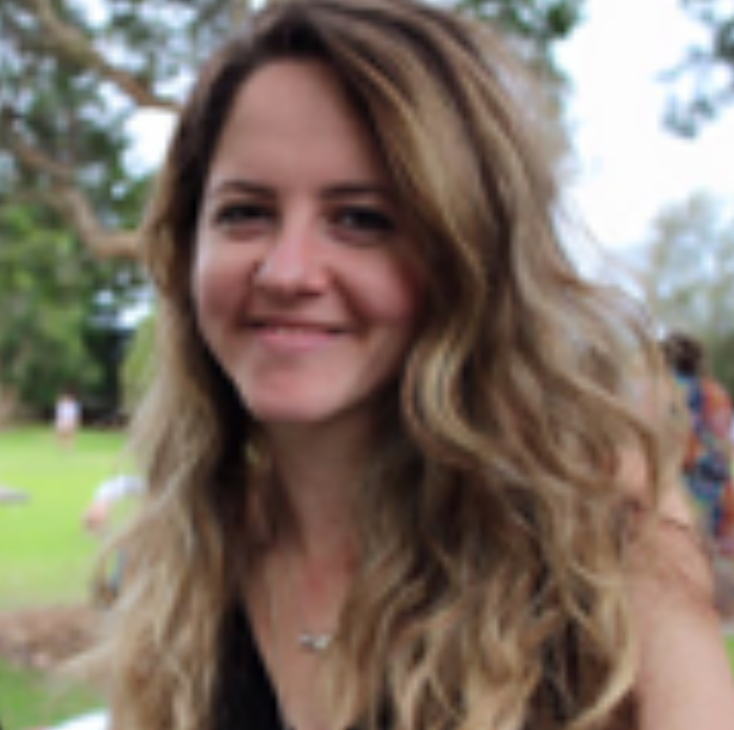 Currently, Chantelle’s union is campaigning for changes to industrial laws to allow long-term temporary contract workers to apply to the Fair Work Commission for permanency. Only private sector workers are currently able to do this. The union is also in the process of assisting Health workers to take protected action. 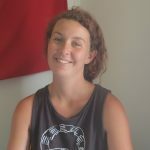 Before joining Together, Chantelle was involved with Front Line Action on Coal, opposing the destruction of the Lead Forest in north west NSW. She then volunteered with the Australian Youth Climate Coalition, where she was Campaign Coordinator with a core group of 10 volunteers. 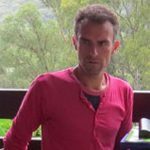 Clancy Morrison‘s experience as an organiser began in 2013, working in Brisbane to mobilise community members and raise funds to support the Maules Creek coal mine blockade. Since then he has worked on a variety of climate change campaigns, taking on training and facilitation roles, and has had the privelege of working alongside and learning from some very effective and inspiring organisers. 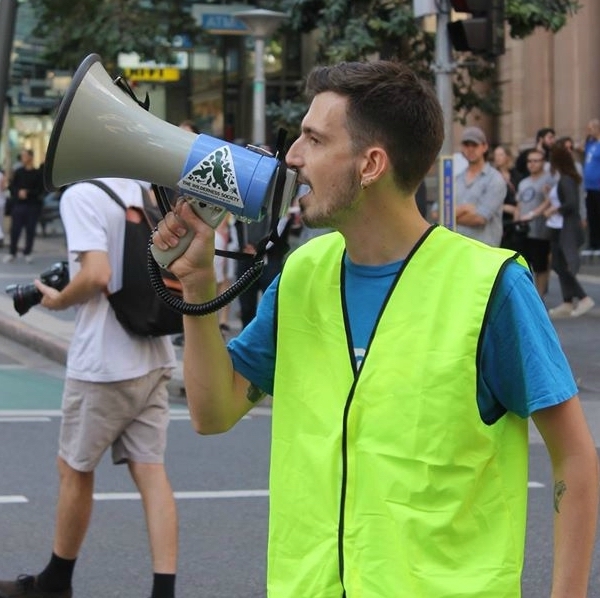 He is currently the Outreach and Community Organising Coordinator for Fossil Free UQ, a student-run campaign to get the University of Queensland (where he studies public policy) to divest its financial holdings in fossil fuel companies and related financial assets. 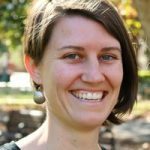 Elle Lawless is coordinator of the Political Action Team and co-coordinator of the #StopAdani group with 350 Canberra. 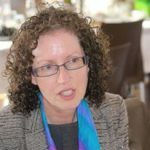 Her team is working towards a just transition for the ACT, ensuring Canberra’s pathway to reaching zero net emissions is fair and socially just. This work includes organising and holding community consultation events that are creative and engage a wide demographic. 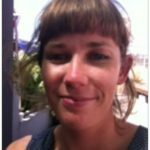 Working with the Stop Adani team, Elle enables her local community through a grassroots campaign that is encouraging Westpac to rule out funding the Carmichael Mine. She is committed to giving people opportunities, agency and a voice in their community for a safe climate and clean energy future. 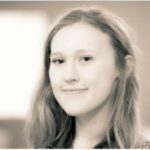 Harriett Leadetter‘s formative experiences were with the Australian Youth Climate Coalition, and volunteering on the 2016 Federal Election with the Australian Conservation Foundation’s organising team. 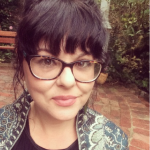 She is currently working for the Victorian Trades Hall Council as a Campaign Organiser. 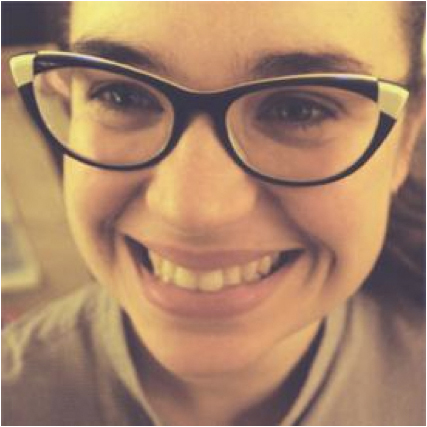 Her work is based around the We Are Union movement and she is helping to build a broad network of union and community members who are passionate about workers’ rights and social justice issues. Her role also involves assisting affiliated unions on any industrial campaigns that arise by providing organising capacity and support. 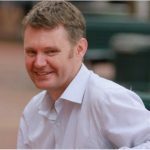 Ian Lisser is a core team member of the Sydney Campaigners Network, a network of over 400 organisers, campaigners and activists. He also works with both GetUp, Amnesty International and 350.org. 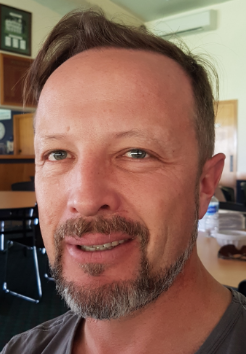 Ian’s background includes different organising approaches in the peace movement (mobilisation organising) and the union movement (structured organising). He also has a background in other organising traditions, principally cadre development, relational organising and various community organising models. 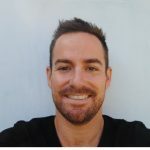 Jack Bertolus is Research Coordinator at Market Forces where he works on the Banks Campaign – an initiative to shift bank finance away from environmentally destructive fossil fuel projects and into those that protect and enhance the natural environment. 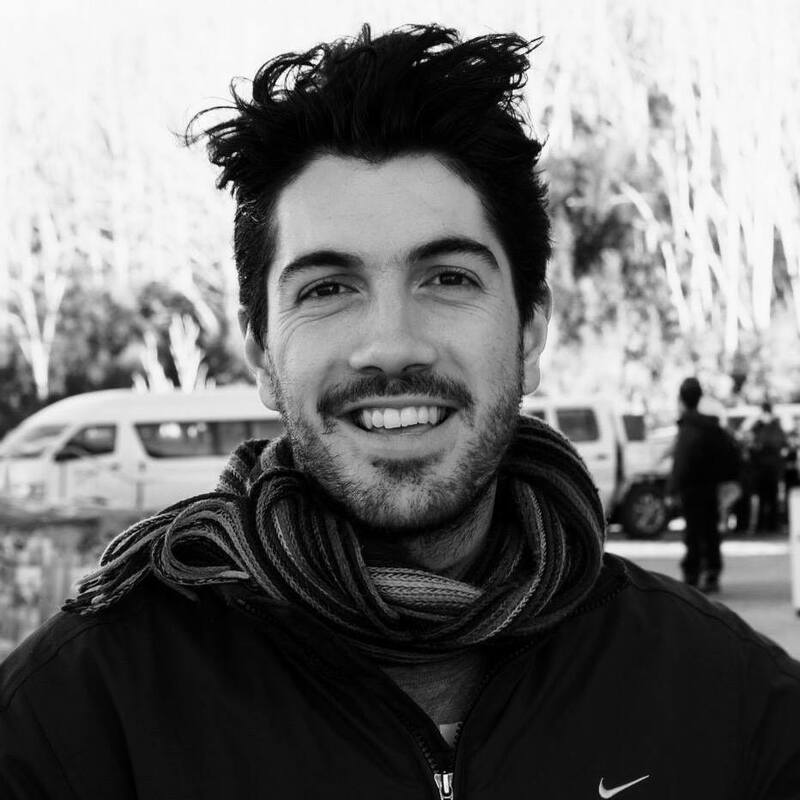 Jack is responsible for investigating how banks lend to the fossil fuel and renewable energy industries by collecting and analysing financial data and working with copywriting, web design, graphics and media communications specialists. He also provides research support to his colleagues and other campaigners and NGOs here in Australia and internationally. 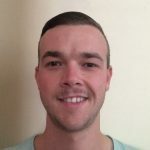 Jack Redpath is a community organiser and digital designer, currently working with the Tasmanian Conservation Trust, Tasmania’s longest operating conservation group. 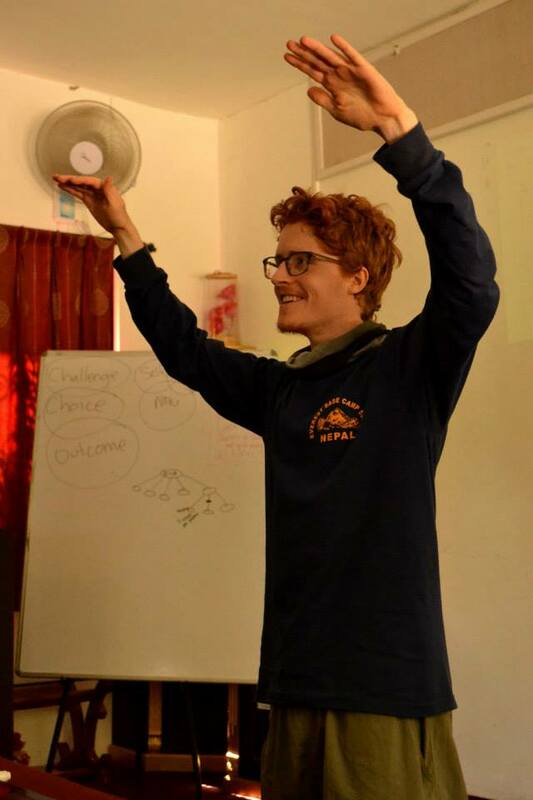 Previously, Jack has been involved with divestment campaigning with the fossil free universities network at the University of Tasmania. He travelled to Mackay to work as an organiser, supporting communities resisting approval of the coal port expansions at Abbott Point and Hay Point. 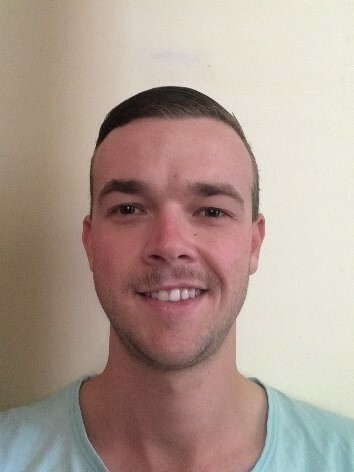 More recently, Jack has volunteered as the Tasmanian Coordinator for the Australian Youth Climate Coalition and the Environment Officer at the Tasmanian University Union. 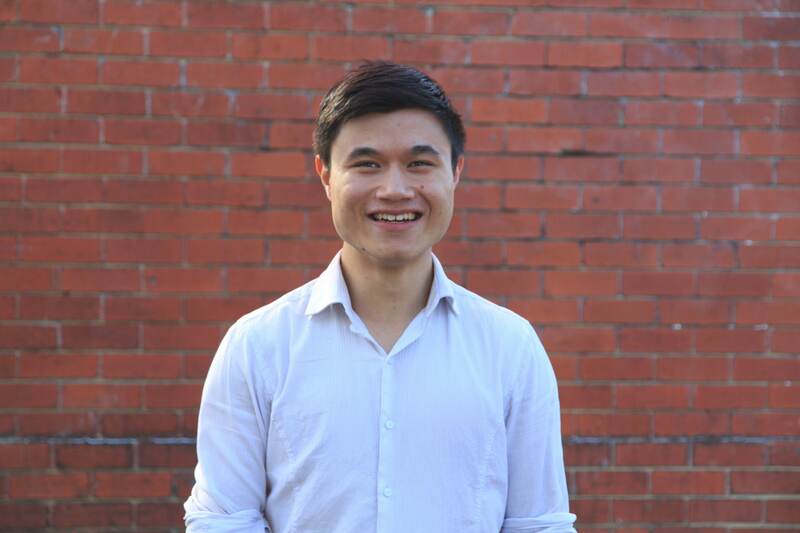 He’s passionate about working and volunteering for a more just and equitable Australia. 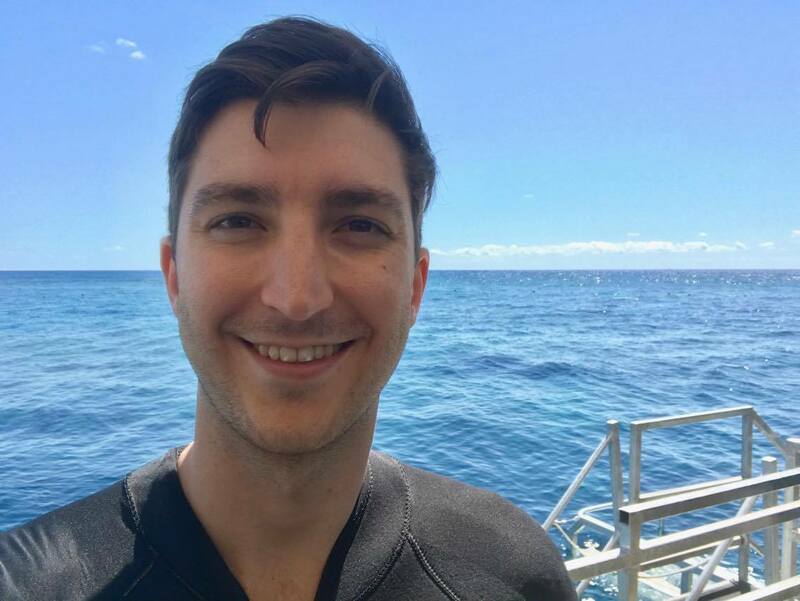 Jackson Turner works with the Queensland Conservation Council as an organiser and campaigner on climate and biodiversity issues. 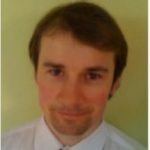 His work involves working on campaign and organising strategy, supporting QCC’s member groups, managing online communication, writing submissions and liaising with government. He also works part-time at the Campaign for Australian Aid to have the cuts to Australian aid reversed. 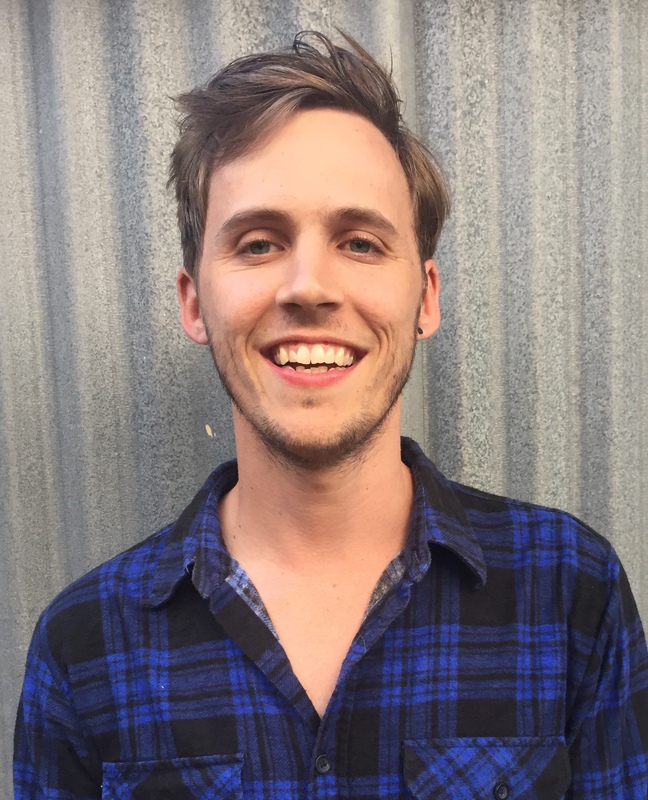 Jackson was introduced to organising by the Australian Youth Climate Coalition when he attended PowerShift in 2013. For the next 18 months, he worked as Queensland Coordinator, running petitioning, outreach, phone banking, media events and trainings. 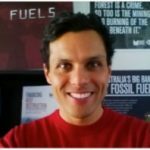 In 2016, he coordinated the People’s Climate March in Brisbane. 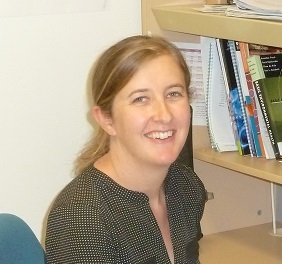 Jacqui Mumford is the Network Organiser for the Nature Conservation Council New South Wales. She supports member groups as we hasten the transition from coal fired power to renewable energy. This means supporting member groups in diverse locations around the state as we align them with strategy, and provide the training and support they need to be effective in their local area. 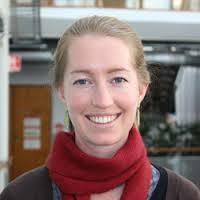 Previously, Jacqui has organised on a university campus, for election campaigns and with environmental organisations. Most recently, she was the coordinator of the Beyond Coal and Gas conference, bringing together grassroots groups, Aboriginal and Torres Strait Islander people, students, farmers and NGOs from around the country to share their experiences of opposing coal and coal seam gas. 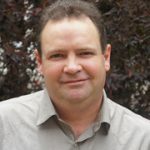 John Edye has been working on community issues in his local district, inland from the NSW Central Coast, for nearly four years, as a member of the Mountain Districts Association. 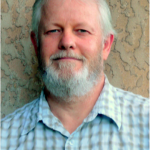 His community faced the possibility of CSG mining. They were vulnerable because of the lack of community engagement and understanding of the potential impacts. John’s campaign included doorknocking every house in the district and holding the biggest community gathering in the district’s history. He hopes to apply the skills I gain through the Fellowship to work more constructively with conflict in his community, to encourage the development of a positive process of place-making, to actively engage with the wider anti fossil fuel movement (particularly coal) and introduce the climate change message to his communities in a positive way. 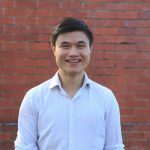 Keith Huang works with 350.org Australia in their university divestment campaign as the Campus Digital and Comms coordinator. This work entails supporting grassroots fossil fuel divestment groups in digital organising and storytelling. For the past 2 years Keith has worked with university students in NSW and across the country to push their universities to divest from fossil fuels. 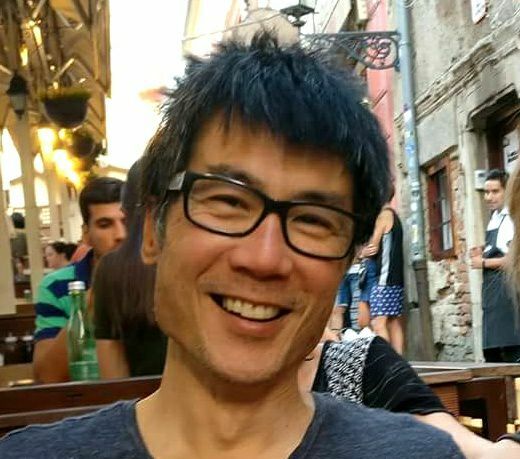 It was during this time that Keith first learnt what community organising was and cut their teeth on different organising practices, running community organising training programs and encouraging students to value and practise deep relationship-building in their campaigns. 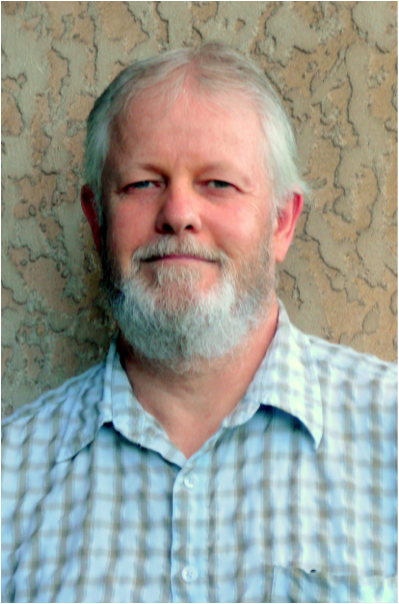 Michael Kane has worked as a community organiser with Lock the Gate, Clean Air Queensland and Solar Citizens. In all of these roles his focus was building and maintaining volunteer teams, building coalitions, political engagement, developing, refining or localising organisational objectives and developing and delivering tactics, actions, events and campaigns. 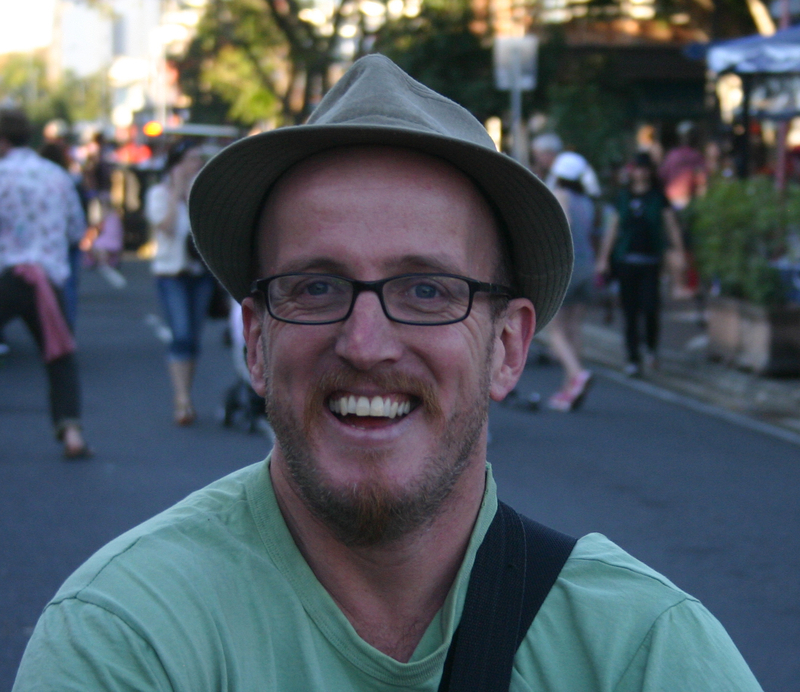 For Michael, community organising means creating or guiding local groups, alliances or individuals who are affected by social, political or environmental injustice, assisting them to find their voice, to recognise their strengths and empower them to make positive change in their lives and in their communities. Murrawah Johnson is a spokesperson and campaigner for the Wangan and Jagalingou Family Council. 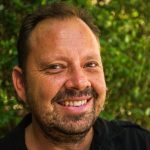 In 2016, Murrawah was a member of the team that organised and mobilised over 100 Wangan and Jagalingou people in their first self-funded, organised and run Traditional Owners claim group authorisation meeting. This was the first claim meeting that the group could describe as a true act of self-determination. Participants in the meeting said “no” to coal mining company Adani. 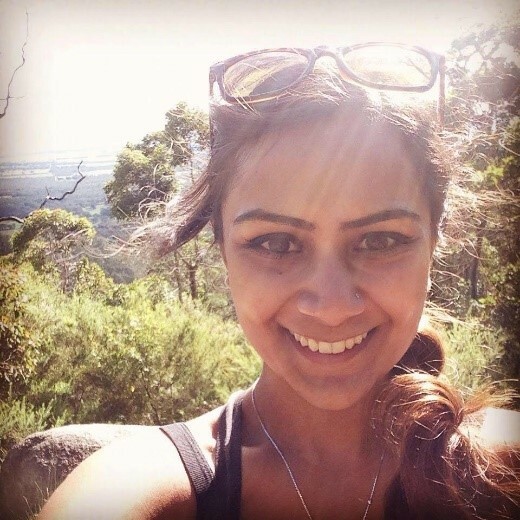 During 2016, Murrawah was also a campaigns and community organising trainee with GetUp, working on the Federal election campaign and organising meetings around refugee rights issues. 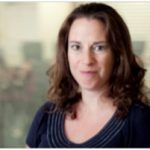 Rachel Deans works with Market Forces where she supports people to attend Annual General Meetings in order to motivate companies to address climate change. 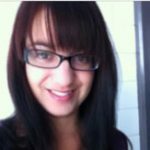 She also volunteers with Healthy Futures, meeting with health professionals to support them to take action around health and environment. She supports these groups to motivate superannuation companies to divest from fossil fuels. Rachel has previously coordinated projects and campaigns with the Australian Students Environment Network, the Youth Action Network and GetUp. Samuel Dariol works as an organiser with Jesuit Social Services to build, mobilise and maintain support in the Catholic community for a compassionate and welcoming approach to people seeking asylum in Australia. This project involves working with schools, parishes and community groups to shift public perceptions towards people seeking asylum, and subsequently to agitate for policy change. 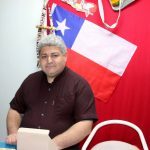 His work has ranged from organising large-scale actions, such as the National Day of Prayer and Action in schools, to direct lobbying through MP meetings. 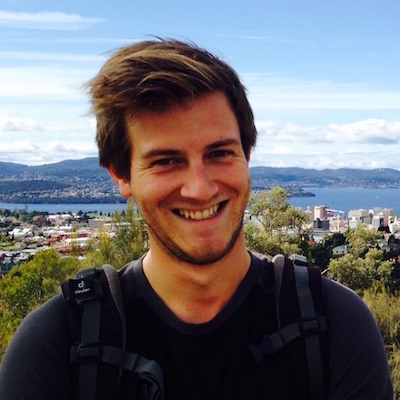 Samuel is working with the Refugee Council of Australia in their Media and Campaigns team. 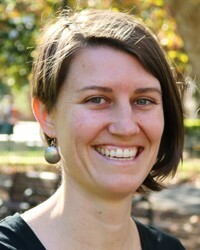 Shannon Hurley is a Great Barrier Reef campaigner for the Australian Marine Conservation Society. The role entails responsibility for mobilising the South East Queensland community and increasing political commitment to protect the Great Barrier Reef. The campaign seeks is to achieve greater protection for the Reef against the threats of global warming, coral bleaching and industrialisation through community empowerment and political lobbying. 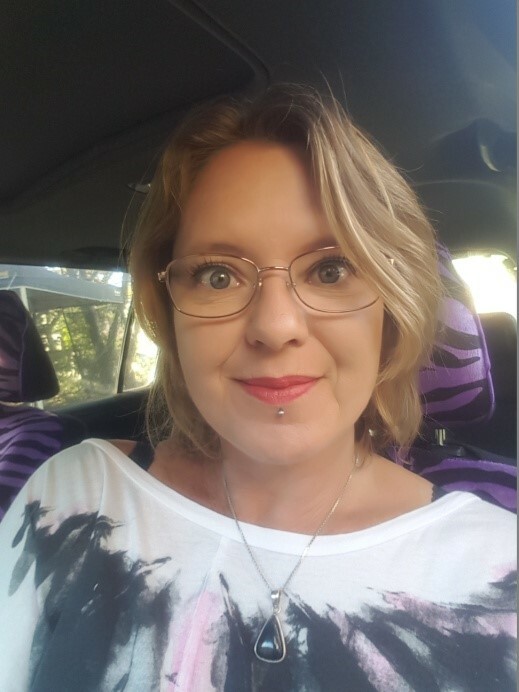 Shannon looks forward to developing stronger connections with other community organisers, to more effectively build movement-wide collaboration. 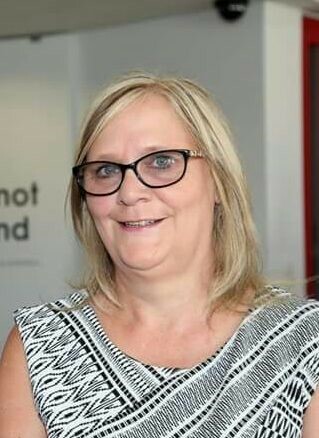 Stella Comyn is a community organiser working in Newcastle. 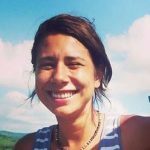 Her focus is on grassroots environmental and social activism, including the Newcastle Climate Justice uprising, the Shut Youth Prisons campaign, Food Not Bombs and other initiatives. 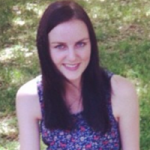 This year, she is helping organise the national Students of Sustainability conference in Newcastle. 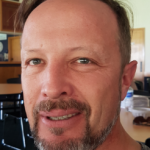 Wes Young has worked as a journalist reporting on community campaigns, as a communications advisor engaging with community campaigns and as a lawyer advising on community campaigns. He defines community organising as a cooperative effort undertaken by people to either promote or protect the interests of that community. This manifests as a ‘bottom up’ movement where individual stakeholders who possess little influence on their own collaborate to pressure decision makers in government or industry. I have been with United Voice for 11 years and I have experience in most of our areas of coverage. We have many areas of coverage but I came from cleaning and it’s where I have the most experience. 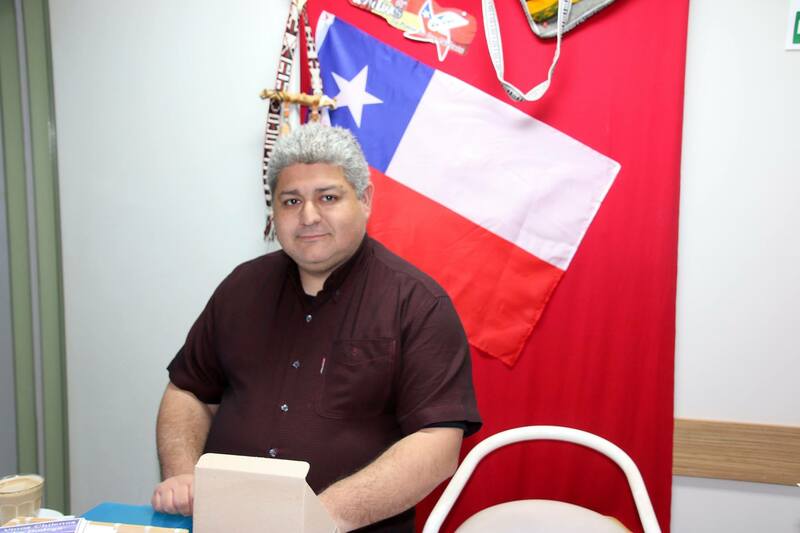 I have also been involved in volunteer community organisations as a member in Chilean community groups in Sydney. I work across several teams in United Voice, including working with manufacturing workers, cleaners, security guards, corrections officers, home care workers, and catering staff. Campaigns differ from industry to industry due to the diversity of jobs. However, the thing that all of these industry campaigns have in common is that we work with or through delegates, and the leader development aspect of the campaign is most crucial to implement any strategy. I am the current joint chair for the Limestone Coast Protection Alliance and have had role in organising family fun days and protest groups. I have been involved in organising a fund raising family day in the vineyard adjacent to the mine site and a “meet the candidates” forum for the upcoming state elections. We are fighting the establishment and expansion of gas fields in the south east of South Australia. Throughout my working life, I have always been fascinated by what motivates and inspires change to create a more just society—in particular through work with communities. In the early 2000s, I was involved with setting up Just and Fair Asylum, an organisation formed to support the work of advocates for refugees kept in indefinite detention. Since 2016, I have worked on campaigns devoted to change, either in the social and environmental sphere — most recently on campaigns targeting awareness about the environment and the political, where I advise on social media and communications strategies. 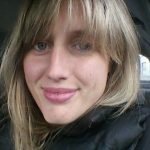 I have created content for campaigns in Tasmania through my media company Berry Productions and draw on three decades of experience as a television producer and director, which includes making documentaries about serious topics such as autism and eating disorders as well as light entertainment, non fiction and comedy such as Judith Lucy is All Woman. 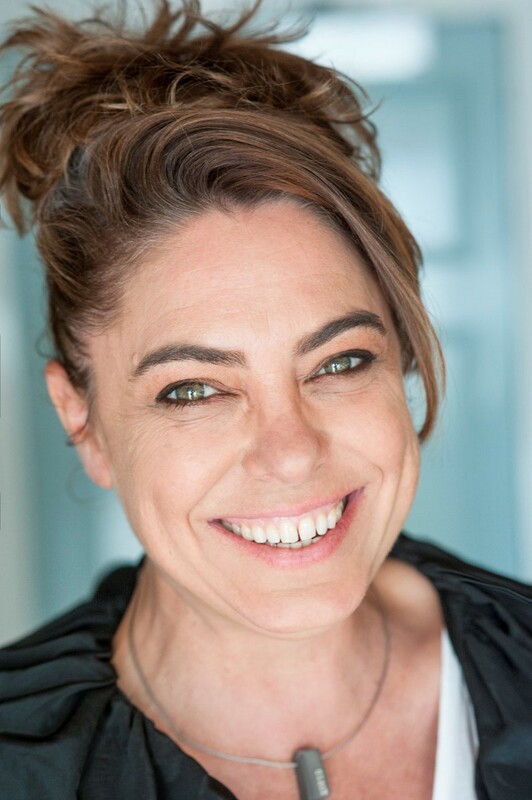 I use my expertise in media to connect content to people beyond the ‘converted’ and aim to create an open dialogue, so people might embrace and act to create change around issues that impact our lives in important and far reaching ways. In 2016 I began working on the Greenpeace Ban the Bag campaign in WA, which focused on building community support for a state-wide ban on single-use plastic bags, and then utilising this support to approach the state government and push for the ban to be implemented. This campaign began with a petition, but evolved over time as it gained momentum and support, and eventually I was able to co-ordinate a letter-writing campaign which gained the support of several local councils. Earlier this year the WA State Government announced a state-wide ban on single-use plastic bags will be implemented by July 2018. 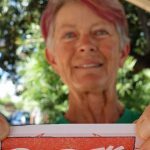 I am currently a group member of 350 Perth, and have been working mostly on the Stop Adani campaign, as well as Council Divestment. 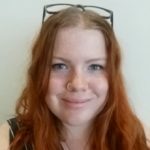 I am the group convener of my local action group with Amnesty International, and we are currently pushing for our local council area to become a Refugee Welcome Zone. I am also the group coordinator for Greenpeace Perth, which is very newly formed and is still findings it’s feet, but has been focusing on reducing plastic pollution. 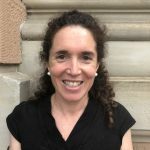 I am a lawyer with Environmental Justice Australia, a not-for-profit legal center that specializes in using the law (both litigation and law reform) to protect nature and defend the rights of communities to a healthy environment. My campaigning is in the law reform space, helping communities impacted by toxic air pollution from coal fired power stations to achieve environmental justice – both distributive and procedural – by pushing for a range of solutions including stronger emissions standards. I started my journey as an organiser straight out of high school with the Australian Youth Climate Coalition. Over three years I worked up to a role as a state fundraising coordinator and later as state campaigns coordinator. Though I cared deeply about the environment, it was always the human impact of climate change that really made me passionate. I decided it was time to move out of the climate movement, and spent the next 2 years floating between LGBT+ rights, refugee rights, disability, poverty, workers’ rights and social justice campaigning. I discovered that no matter where I went, the environment movement kept drawing me back. 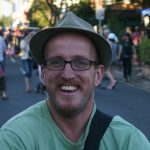 I now work as a community organiser for the Queensland Conservation Council, where I have two main projects. My first focus is the Sun-Powered Queensland Alliance, an alliance formed to push for 100% clean energy in Queensland. My second focus is the development of a community organising and campaign training program to be delivered to regional Queensland. I have always had a passion for the environment and animals and since starting medicine I have realised how big of an impact climate change is having on human health. I joined Doctors for the Environment Australia in 2015 and have since been a UNSW representative where I have been involved in organising small documentary screenings and university climate change actions. DEA is a nation-wide organisation run by doctors and medical students with the primary goal of protecting the environment to decrease the effect on human health and animal health. I am currently a co-convener for the iDEA18 conference which relies heavily on a team that keeps regular communication and a clear plan. I am also the current national-rep elect and future national student representative for DEA which will involve overseeing and coordinating the National Student Committee. Ever since I first heard about plans to open up the Galilee Basin and industrialise the Great Barrier Reef coast, I’ve been involved in community organising on this issue. 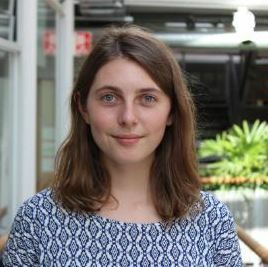 I volunteered with the Australian Youth Climate Coalition for four years, organising my university student peers and broader community on campaigns to stop the money flowing to Adani from Australian banks and lending institutions. My organising experience continues to develop with the Australian Marine Conservation Society as a Great Barrier Reef Community Campaigner based in Cairns. I work with passionate community members and reef tourism industry members on the Fight For Our Reef campaign. Our goals are to Stop Adani’s coal project, extend the Adani win to ban new/expanded coal mines in QLD and push for national policies to reduce Australia’s carbon emissions in order to protect the Reef. Most of my experience is organizing and supporting grassroots climate groups that support emergency action on the climate crisis. I was on the organising committee of the Climate Emergency Network for a number of years. I have been helping organise the grassroots climate action group, Darebin Climate Action Now and for 10 years and I am currently the convener. I helped establish the Victorian Climate Action Network, and Vote Climate – a communication network of climate groups campaigning on the climate emergency during elections. I am also involved in the campaign to declare a climate emergency, a campaign that is supported by over 50 community groups and organisations. I have been involved with the Frack Free movement in my area since its conception in March 2016. 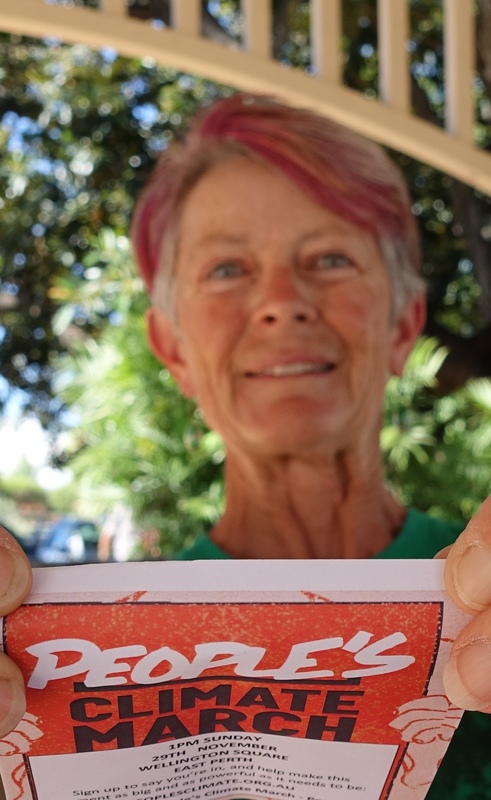 Our local group is Frack Free Central Midlands (Moora) and we work closely with Lock The Gate (Frack Free WA) as well as CCWA’s branch (Frack Free Future). My designated role is Treasurer and Social Media Coordinator, and of late I have facilitating meetings, being the constant power behind the group, and keeping things running. As I write this I am working on developing a local paper for our town with other interested members of our community, we are trying to fill a vital communication gap that has been missing in our community since our local paper finished a few years ago. I am designing the logo and format and will most likely edit the paper, this is obviously a work in progress and hope to have the first paper on the shelves by February. My community organising experience has largely come from the work I did in the union movement. My first few years were spent organising with early childhood educators, and homecare workers. This organising involved working with the workers, but also the families to which they were providing a service. To be able to provide the best service, a strong motivator for clients in both these sectors, relied on having quality and well paid staff. Other community organising experience has been organising around the living wage campaign and increased housing for Syrian refugees throughout the lead up to the 2015 . My more recent work organising to stop fracking has exposed me to the most diverse array of groups and demonstrated how different groups can come together through shared self-interest to fight for common goals. I am currently the Central Australian campaign coordinator for the Territory Frack Free Alliance. This is a position funded by Lock the Gate and hosted by the Arid Lands Environment Centre in Alice Springs. The Territory Frack Free Alliance is a large and diverse alliance of community groups, concerned citizens, farmers, pastoralists, and remote communities that have a shared concern about the dangerous impacts of shale gas fracking. Together these groups are working together to achieve a ban on Fracking in the Northern Territory. Members of the Territory frack Free Alliance are working incredibly hard in 2017 to ensure that the NT government decides to ban fracking and support a future that protects our land and water. I have been volunteering as a Community Organiser with the Women’s Climate Justice Collective for the last nine months. 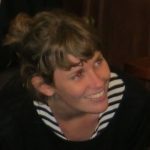 This has involved building relationships with women around Australia to initiate dialogue about the intersection of gender inequality and climate change; supporting women to be involved in the climate movement; and preparing and distributing resources about the intersectionality of climate issues and women’s issues. 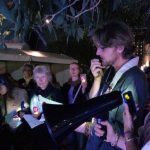 I have also been a core volunteer with Stop Adani Melbourne for the last four months, and prior to that I was a core volunteer with 350.org Melbourne for two years. 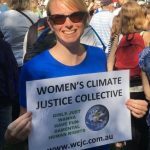 My current campaigning with WCJC is focused on further developing the Women’s Climate Justice Collective as a grassroots movement of women demanding gender-responsive action on climate change. This involves engaging in outreach and building relationships with women across Australia for a stronger feminist climate justice movement, with a particular focus on First Nations women, rural women, LBTQIA+ women, women with low incomes, and women with disabilities. 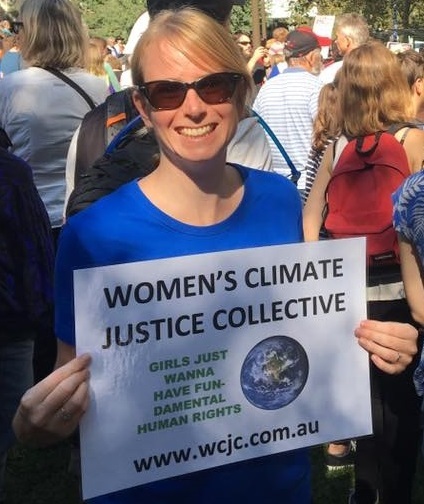 As well as growing the movement, WCJC’s key objectives are to develop and provide information, training, resources and mentoring for women around Australia to engage in grassroots climate change activism with a focus on feminist climate justice; and to develop accessible resources to inform women’s groups and climate organisations about the importance of women’s human rights in climate action. The WCJC aims to plan and coordinate a 1-2 day Women’s Climate Justice Camp in the next 18 months that will support women to understand the intersection of gender injustice and climate change, build skills, and develop strategies to take action in their communities. 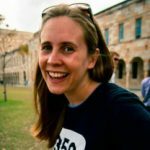 I was first introduced to organising through the environment collective at my university and became heavily involved in the Australian Student Environment Network from 2005 to 2011 organising around climate change and food co-ops. From 2008 I was involved in creating Six Degrees, the coal and climate collective of Friends of the Earth Brisbane, and with the best crew around pulled off some fun and impactful actions learning about campaign strategy and building alliances along the way. My next organising foray was centred on food sovereignty from building community food groups to inclusive community gardens. In 2017 I started with Solar Citizens as the NSW Community Organiser where I work on engaging and training our supporters to become more active in our campaigns. Our vision is of an Australia powered by 100% renewable energy where everyone can generate, share and access clean, affordable and reliable power. At the moment our campaign in NSW is focused around securing a Fair Price for Solar where the many benefits of rooftop solar are recognised in a mandated minimum feed-in tariff. We are targeting the NSW Premier, Energy Minister and marginal Coalition State MPs where there is high solar uptake. Our main tactic is centred around an online and offline petition that we will deliver to target MPs when we have a significant stack. 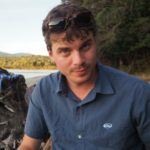 Over the past two years I have worked (as a volunteer) on a number of grassroots environmental campaigns, predominantly with 350.org. I assisted with the Pollution Free Politics and Mana Moana campaigns before taking on the Training Coordinator role for the Power For Change campaign. These roles involved organising training workshops, strategy development, actions planning and coordination, and holding community meetings. I’m currently working part-time as a Producer with Seven Network and studying a Master of Political Economy. My research is focused on the study of social movements from a political economy perspective. I am particularly interested in the potential for social movements to influence the Australian political economy through the reframing of norms, values and perceptions. Earlier this year I began volunteering with Repower Sydney to help launch a grassroots campaign in Coogee. Our goal is to use people power to pressure state MPs into adopting a more ambitious renewable energy target. As it is early days, our focus has been on strategy and building our supporter base in Coogee. As a young person in the movement, I am proud to be at the early stages of my community organising journey. 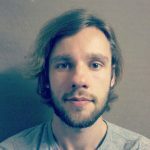 I started as a volunteer with the Australian Youth Climate Coalition, and now spend a lot of time in the Northern Territory organising communities. I currently work for Seed, Indigenous Youth for Climate Justice. I work mostly organising and implementing for our campaign to a ban fracking in the Northern Territory. For the past year I have been going home and working with my mob and also with Aboriginal people from all across the NT. I have been working to implement Seed’s campaign strategy on the ground in the Northern Territory. Where we have surveyed an entire community, Borroloola, to eventually declare themselves frack field free. I have been an organiser with United Voice for almost 12 years. United Voice is a union that represent many different industries. I came from one of the industries that are covered by my union (cleaning) and I was an organiser in that industry for 9 to 10 years. For the last one and a half years I have been organising at the Star Casino in Sydney, where I organise many different types of workers. We have just finished negotiating an enterprise agreement with the Star. The star Sydney is a very large worksite, it has 8 operational areas and we cover over 4000 workers. Our campaign at the star has focused around 3 key words for our vision #Reward #Respect and #Recognition. We try to identify leaders and support workers in all areas and occupations at The Star. While in high school I learnt about climate change, at the same time as seeing our elected leaders failing to take the action we needed to protect people and planet. I got involved with the Australian Youth Climate Coalition campaigns for many years: from the schools program to organising youth-led votes. I remember starting the Reef campaign in 2013 and the disbelief of people on the street who thought no one would ever do things to harm the GBR and our climate. Over the years this has grown and grown into an unstoppable people powered movement through grassroots community organising all across Australia. 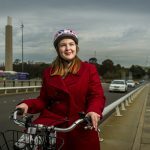 I’ve been working in Canberra the past few years in bike rider advocacy. I’ve recently moved to Melbourne to start coordinating the Sustainable Cities Campaign, an initiative of Friends of the Earth. 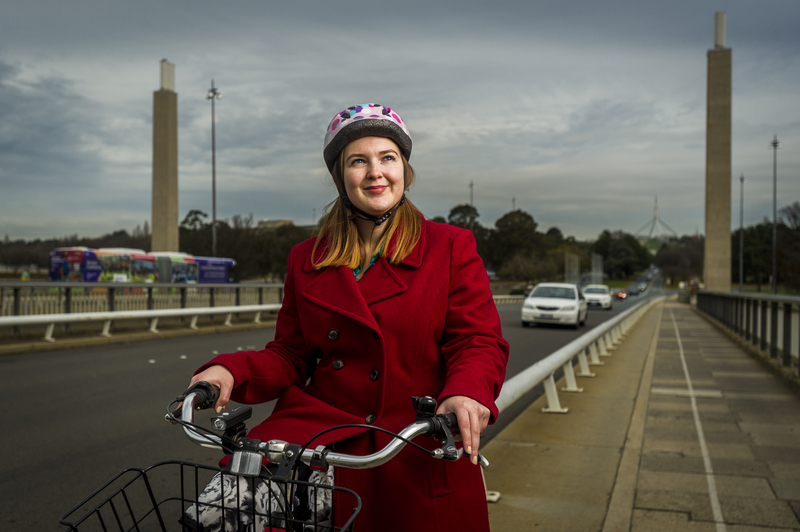 I’m passionate about tackling climate change through our cities and transport networks. As our electricity sector has transitioned to clean renewable energy, this has left our other sources of climate damaging emissions to grow. Unless we rapidly transform areas such as transport, we will fail to tackle climate change. I want to build skills about creating campaigns that will change the transport network and give people sustainable choices. It is how we want to create a city that is connected and liveable for everyone. It needs system wide change, and that’s why I believe community campaigning is the way to make this happen. I cut my campaign teeth as a campus organiser with Fossil Free ANU before working for 350 Australia as the National Campus Coordinator. I love the combination of relational skills and almost mathematic approach that good organising requires, and I’m also a bit of an organising nerd and really get into the theory and history of it. These days I spend my time trying desperately to keep up with the rapidly growing and endlessly creative #StopAdani network. 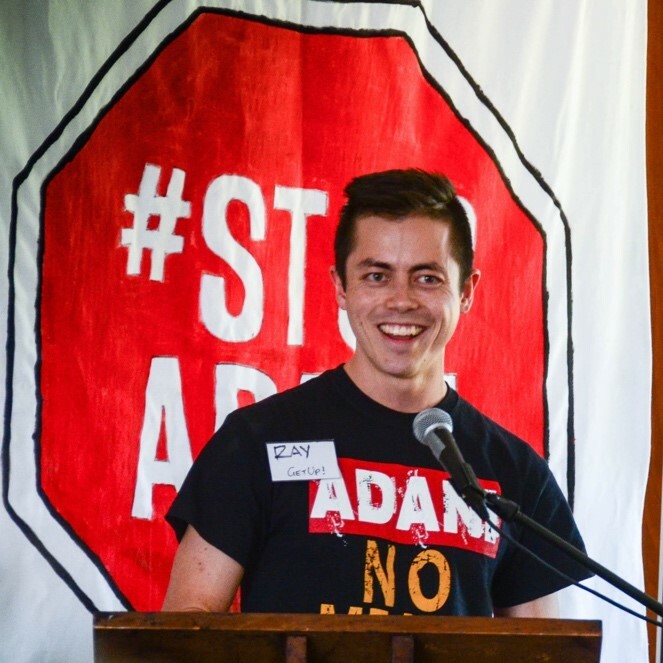 I currently work for GetUp as a #StopAdani organiser in QLD, supporting #StopAdani groups to grow their power and have impact. I also run regular mindfulness classes for the community and am interested in the intersection of values and activism. I have been part of communities and organising action for shared visions since I lived in my first intentional community in Scotland in 1996. I was the coordinator for Resource Work Co-operative where we inspired the community and ran campaigns to reduce waste in the Hobart area. I have also been part of ‘Be The Change’ and a facilitator of the Work that Reconnects and Awakening the dreamer, changing the dream program. In my current role, I work with specific groups to bring about change in our community including Climate Action Darwin and NT Waste Free (Plastic Free Markets). As the Director of the Environment Centre NT I am responsible for all campaign planning and campaigning activities to best achieve our strategic plan goals. Our goals include the protection and restoration of the environment, strong action on climate change and support for sustainable living. My role is also to develop alliances with diverse stakeholders to deliver campaigns and projects, generate revenue, and expand our influence through our campaigns. Areas we are currently campaigning include advocating for an aspirational and effective greenhouse gas emissions target, strong actions for meeting our NT renewables target, anti-fracking campaign, calling for the closure of McArthur River Mine, strong protection and policies for the Darwin Harbour, advocating and educating for a plastic free Darwin markets and stopping deforestation of the native vegetation in the Northern Territory. 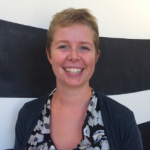 I am currently working at the Australian Wind Alliance as a Communications Coordinator. At the moment we are campaigning for solid renewable energy policy beyond 2020. I have varied experience through both paid and unpaid roles for a number of (predominantly environmental) organisations. I have had extensive experience organising volunteers, but not necessarily in a movement building capacity. 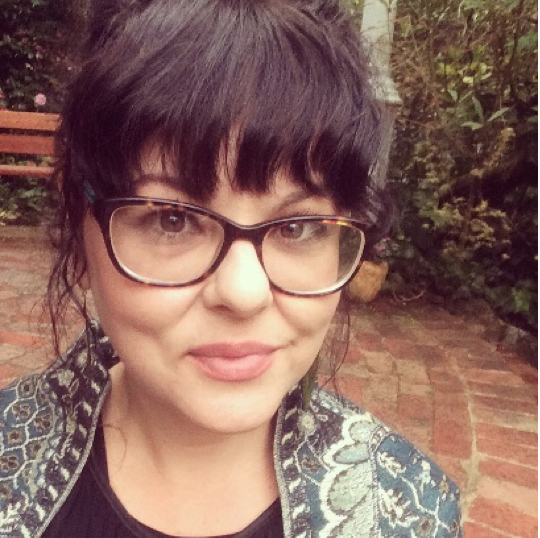 Tejopala Rawls is one of two paid part-time Community Organisers for the Australian Religious Response to Climate Change. This involves organising people of faith on the transition away from coal and towards renewable energy. Most of his work is on the Stop Adani campaign. Tejopala’s previous campaign experience includes a grassroots campaign to stop a motorway extension through the centre of Wellingon (Campaign for a Better City), as an organisers and media spokespeople for a campaign against French nuclear tests in the Pacific in 1995. I went on to work as a media officer for the New Zealand Green Party. He has also worked in the performing arts on climate change. In 2015 Tejopala organised five short comedy videos about climate change made for the lead-up to the Paris summit. 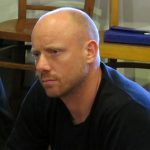 He was involved in the acting, writing, storyboarding and shot-listing. For some years Tejopala has been involved in organising on climate change within a worldwide Buddhist community called the Triratna Buddhist Community. He has a background in science, conservation, politics and environmental campaigning. 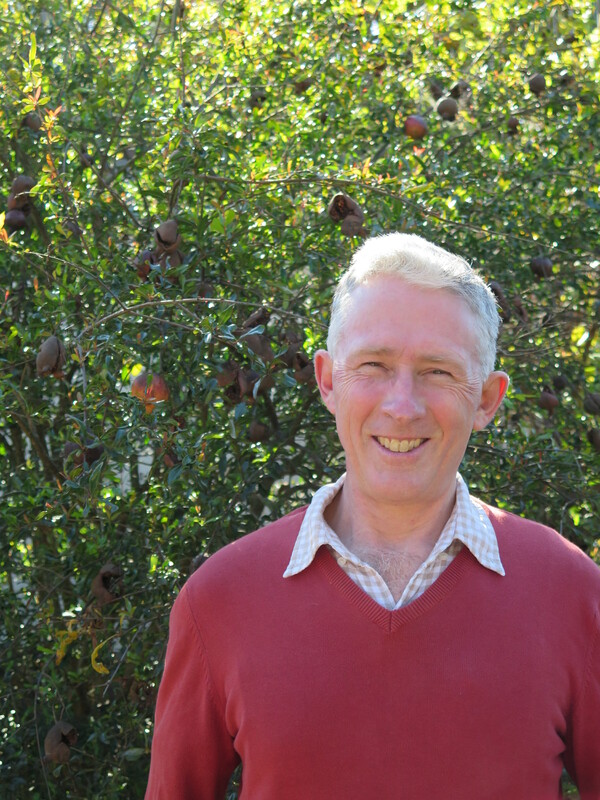 His professional life has focused on advocating for the natural environment, which has led me into the community organising space. 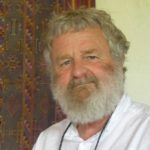 He has been involved in community organising in Tasmania for over 25 years – both inside and outside parliament. Tejopala has been involved in many community campaigns, which have included community organising, such as the Tasmanian forests campaign, the Gunns Pulp mill, the Ralphs Bay Quay development by Walker Corporation Pty Ltd, significant tourism and urban developments at Freycinet on Tasmania’s east coast and more recently on the Planning Matters campaign. 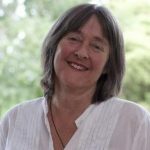 Sophie Underwood is the Founder of the Freycinet Action Network, a community group advocating for the protection of the natural and cultural values of the Freycinet Peninsula on Tasmania’s east coast. 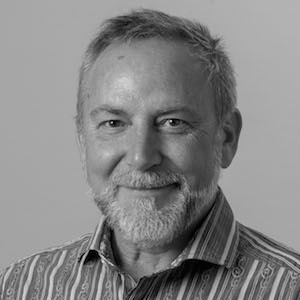 I have been advocating for the Freycinet area on local planning issues including advocacy, appeals and community engagement for over 25 years. During 2016, I lead the campaign to stop tourism operator RACT from expanding into Freycinet National Park, with profound success. As an individual and founder, I helped coordinate a multi-faceted community engagement, corporate and media campaign. This led to a win-win outcome for the Freycinet National Park, RACT, and for the campaign to protect Tasmania’s parks and reserves from inappropriate tourism development. I am also the Coordinator of Planning Matters Alliance Tasmania. Informed and motivated by my long experience in the planning space, I have led the mobilisation and coordination of a growing network of over 50 community groups from across Tasmania opposed to proposed Tasmanian planning law changes. This, together with the successful delivery of many significant public events and positive political engagement, sets the scene for planning to be a defining political issue in the 2018 State election. PMAT is campaigning for a strategic, sustainable and integrated planning system which will serve to protect the values that makes Tasmania such a special place to live and visit. 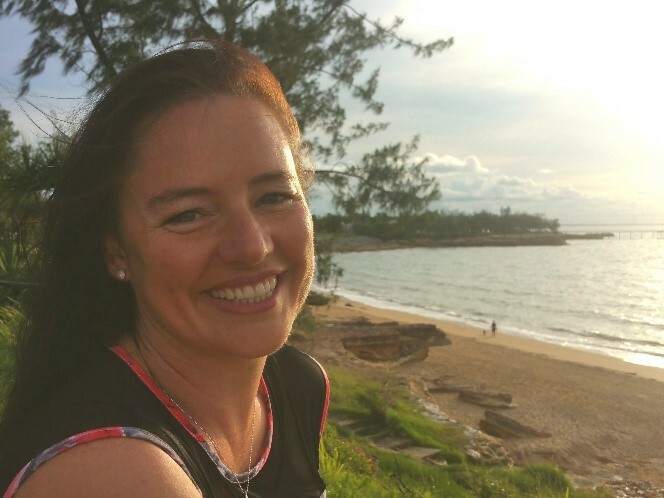 Vicki Perrin works with Lock the Gate Alliance as regional coordinator for the Wide Bay Burnett in Qld. I was plunged into the world of community organising in 2013. I have been coordinating the campaign in the Wide Bay Burnett since then. The campaign against shale gasfields in the region has grown steadily and consists now of many locals from diverse backgrounds working together towards a common goal. I love to watch the shift in people as their awareness grows on an issue. I get very excited watching locals put their differences aside to protect the places and people they love. Wendy Farmer’s community organising experience was like being thrown into the deep end & learning to swim. It started with the catastrophic Hazelwood Mine fire. During this unprecedented disaster, the community’s health concerns were largely ignored by local, state and federal government organisations. We came together with outraged community members to speak up for our community when we were told ‘the air was okay, just don’t breathe it’. A community advocacy group called Voices of the Valley formed and called for the the first inquiry. Collecting data we quickly realised that the fire had caused deaths, and so we called for the second inquiry, participating in and influencing change. Voices of the Valley’s advocacy work has led to, notably, the Hazelwood Mine Fire Inquiries, which found that the mine fire contributed to 13 extra deaths in the Latrobe Valley. Voices of the Valley were finalists in the 2015 Victorian Premier’s sustainability awards in the Environmental Justice category and in 2016 winners of the Premier’s sustainability award for Environmental Justice, as well as 2016 Vic Health Award for Health Equity.